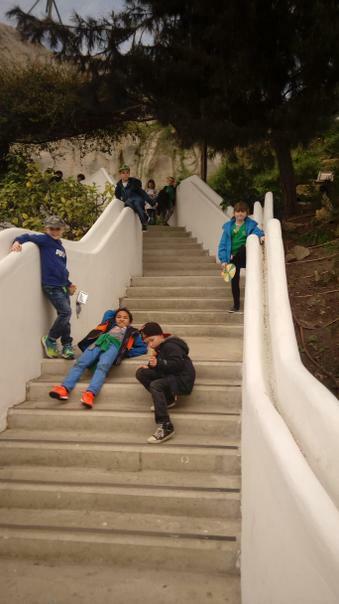 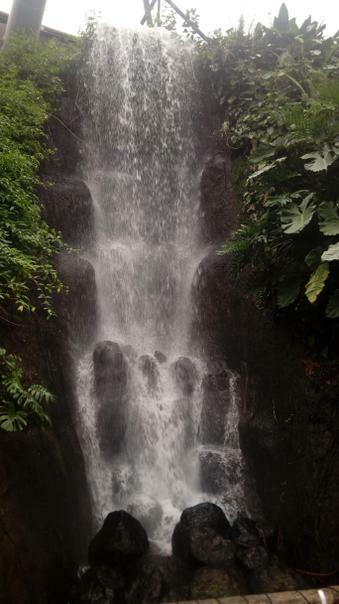 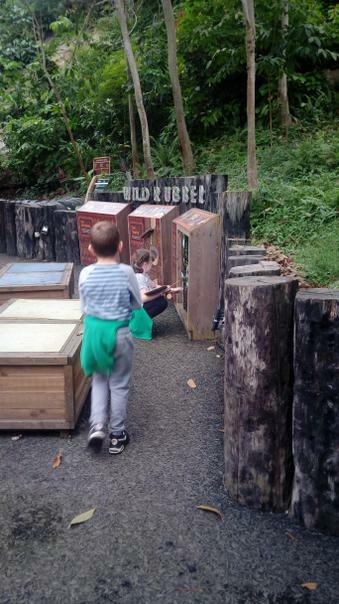 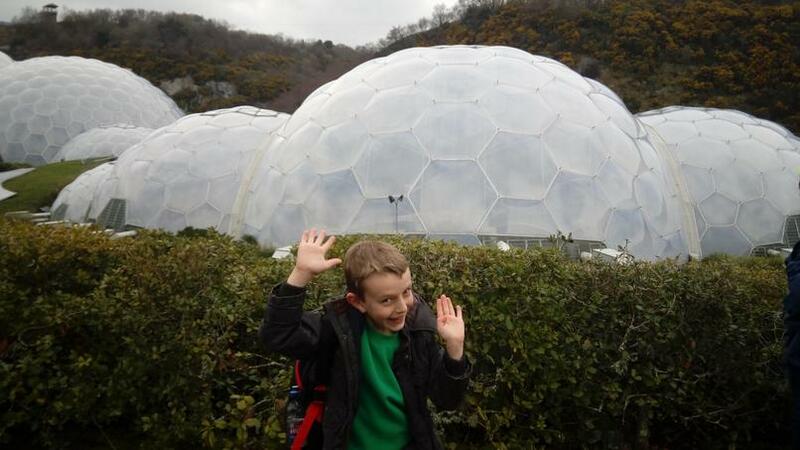 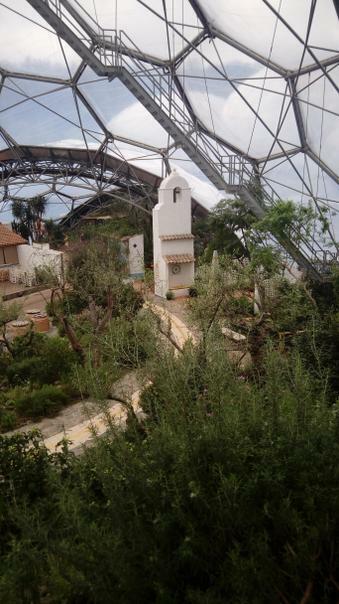 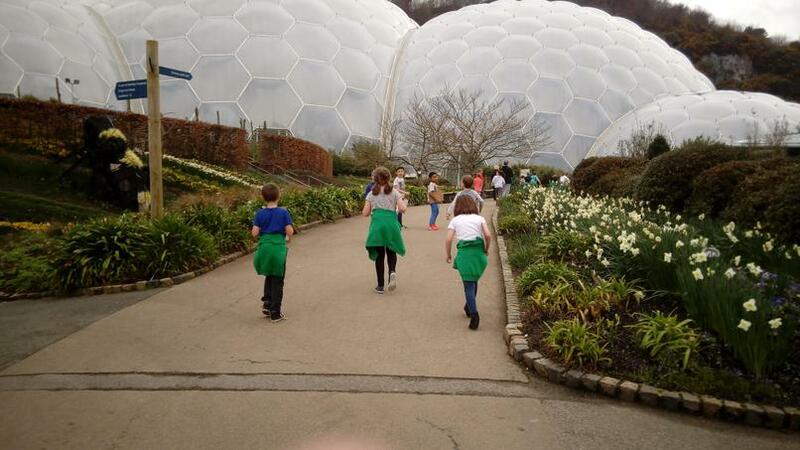 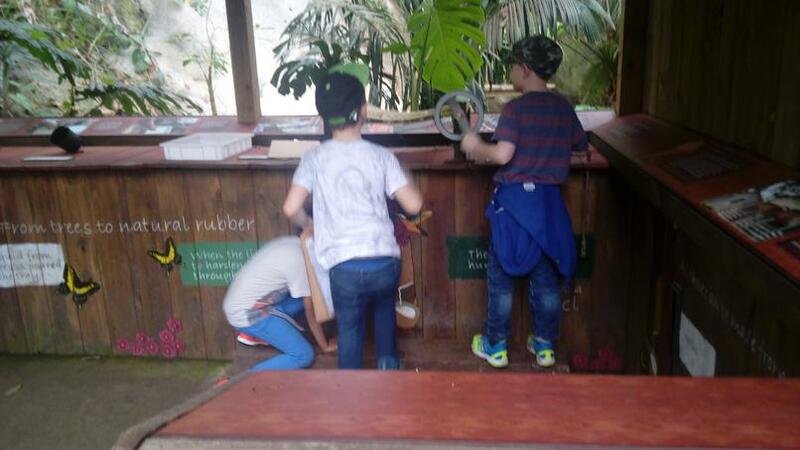 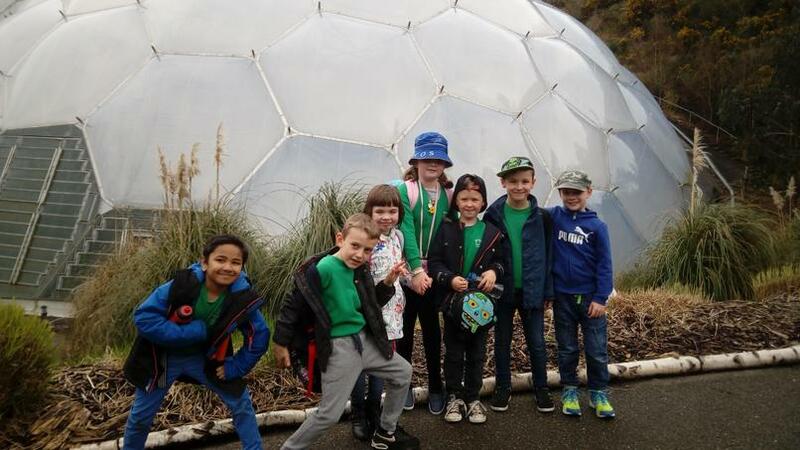 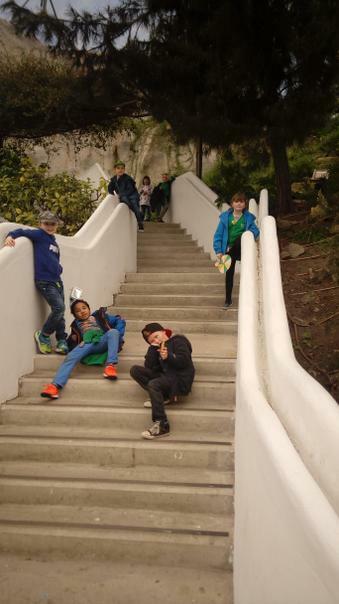 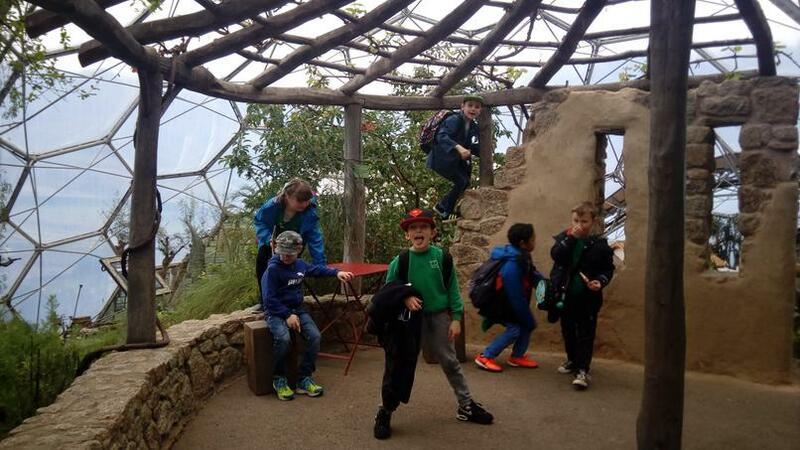 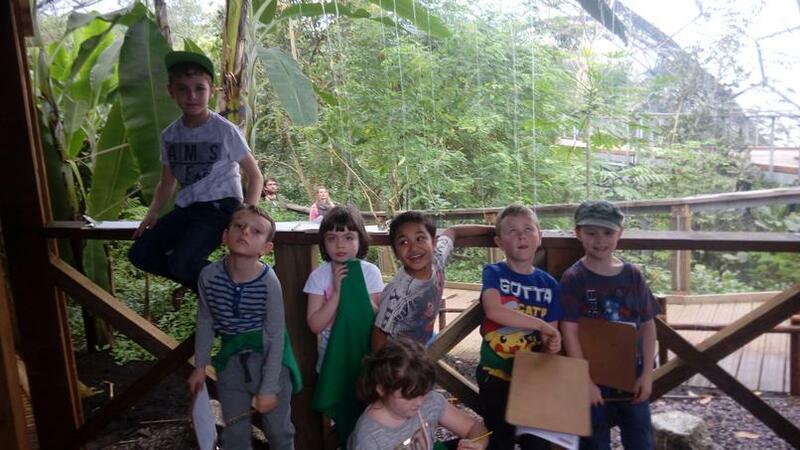 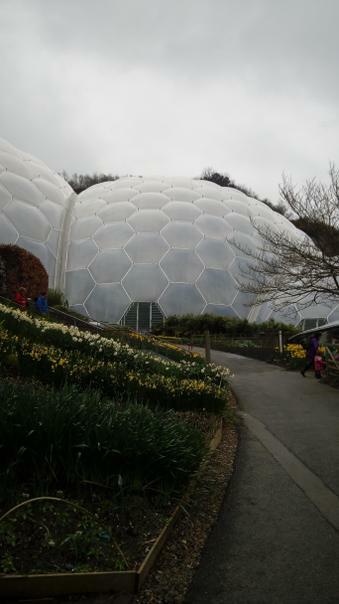 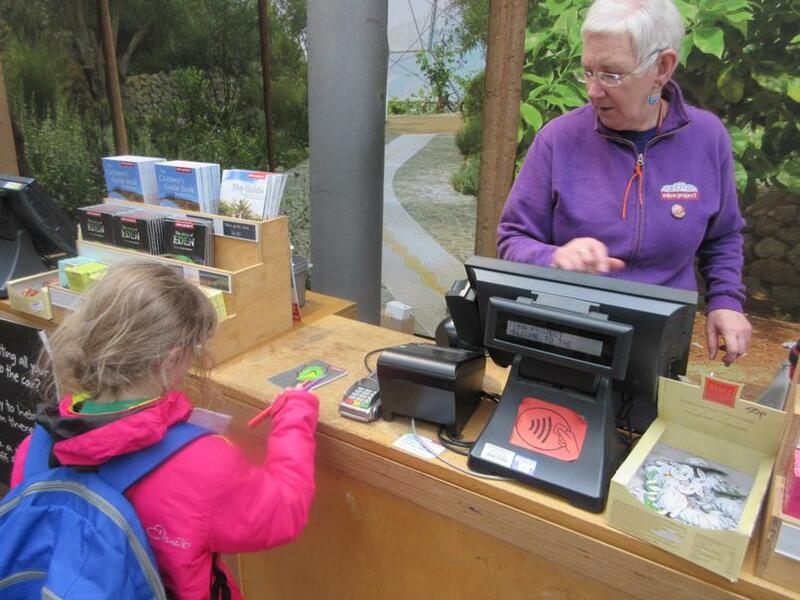 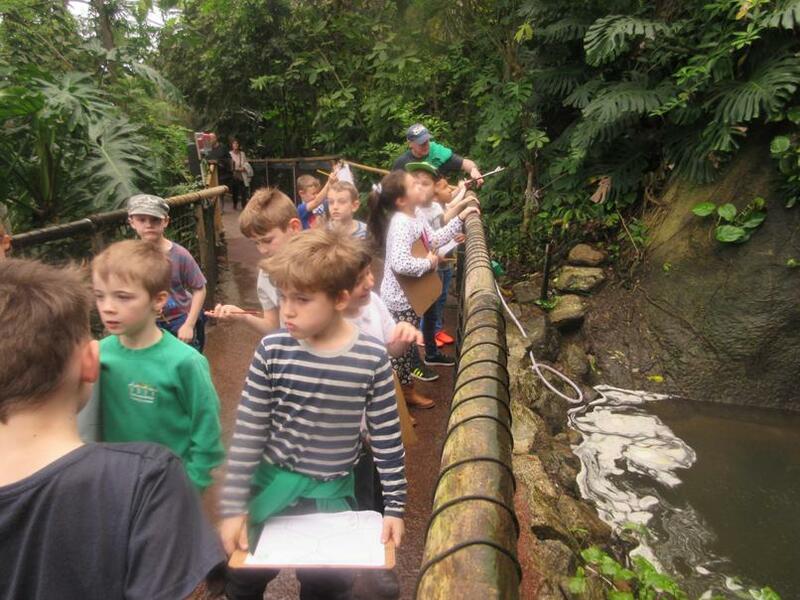 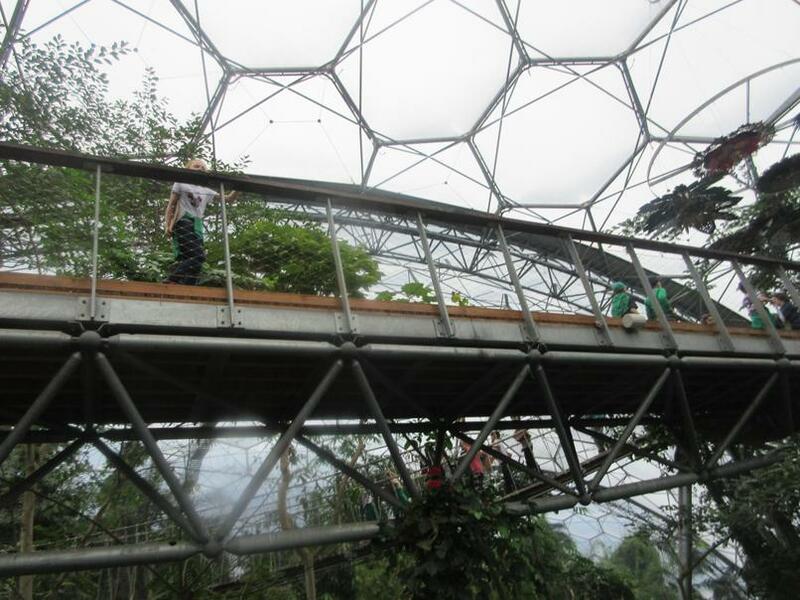 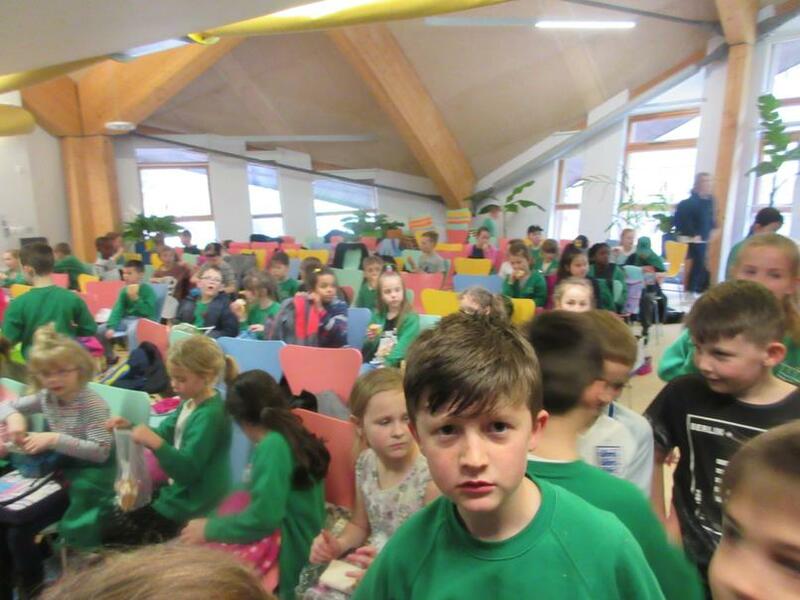 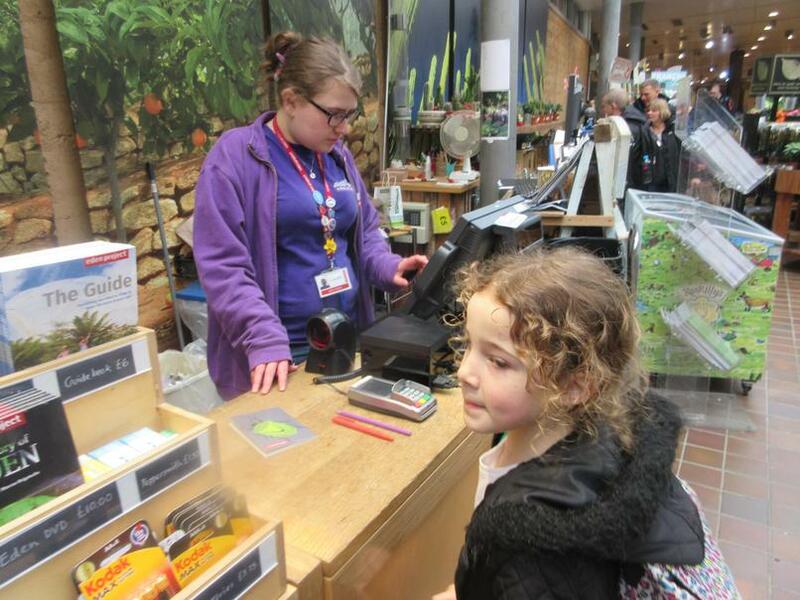 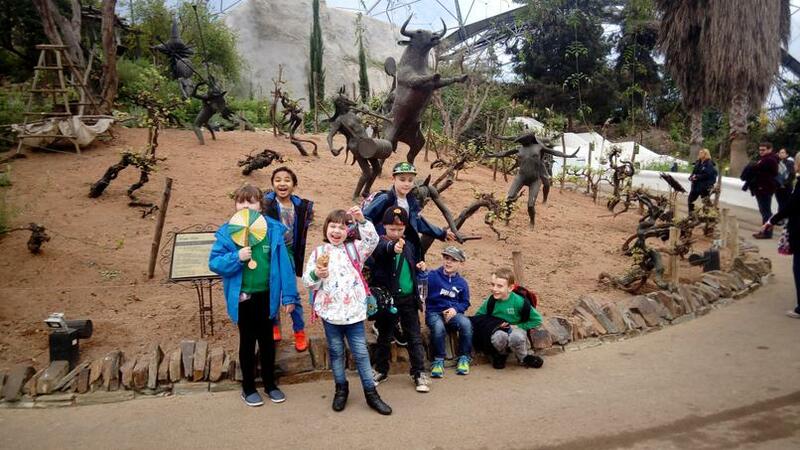 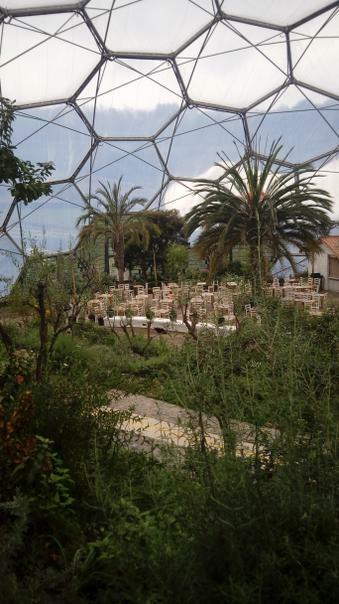 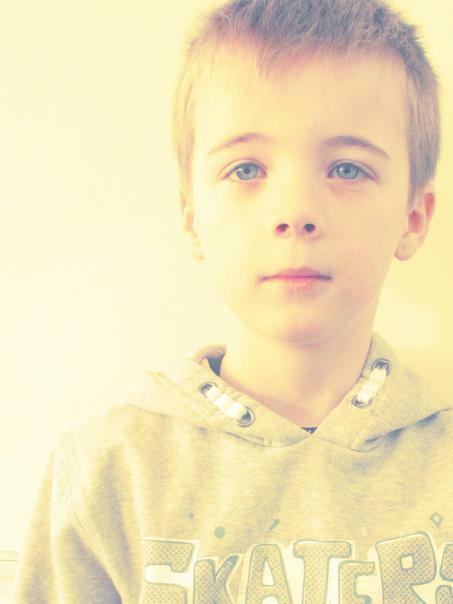 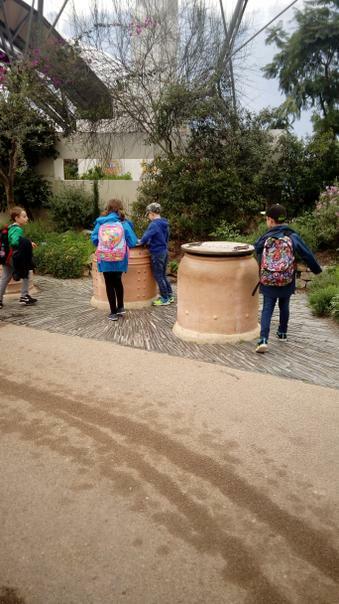 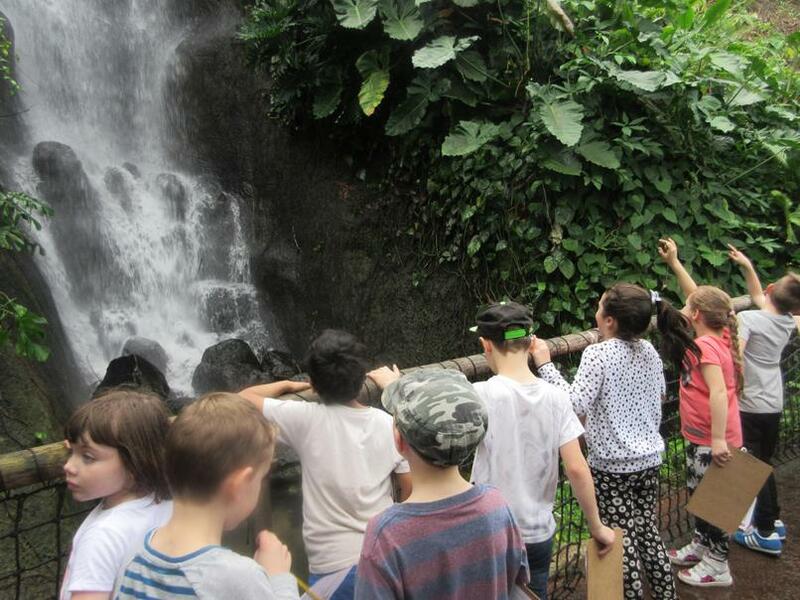 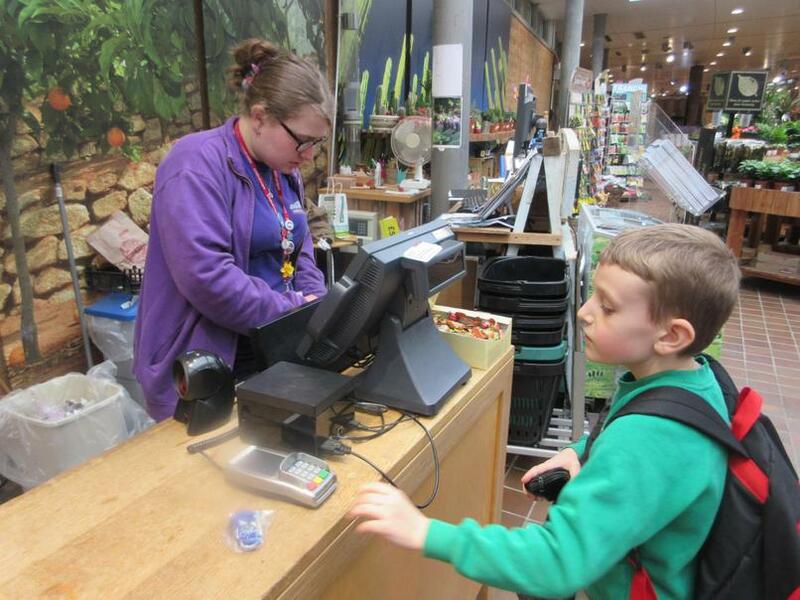 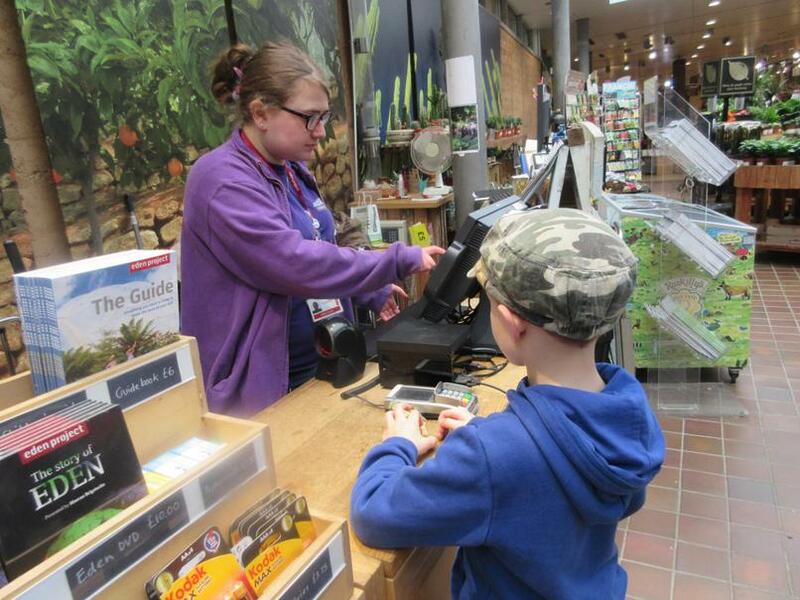 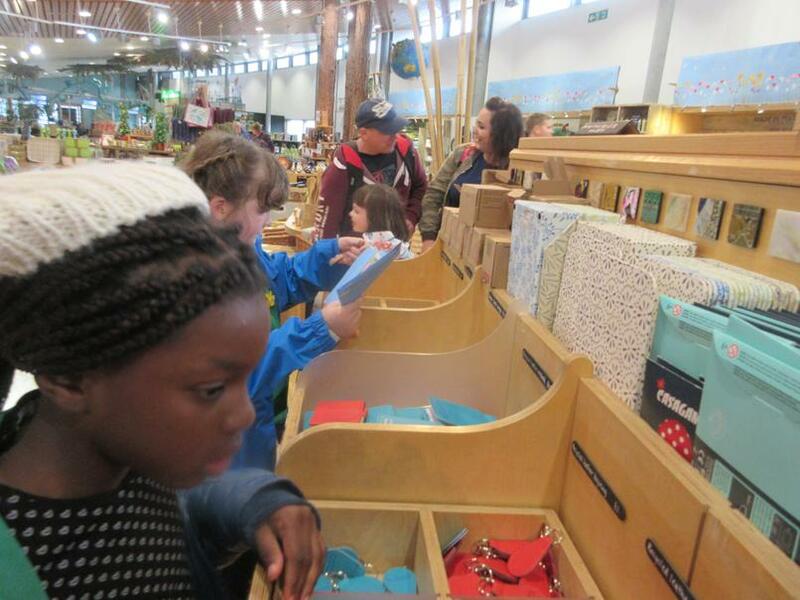 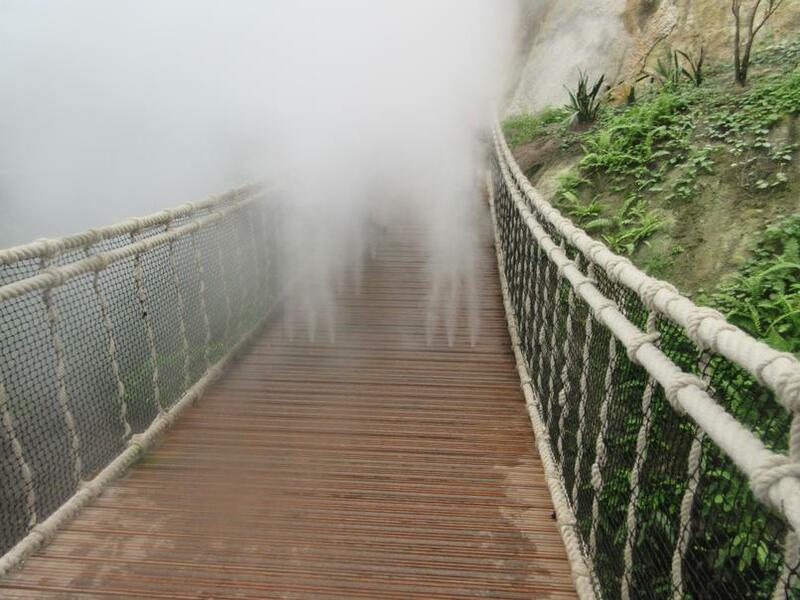 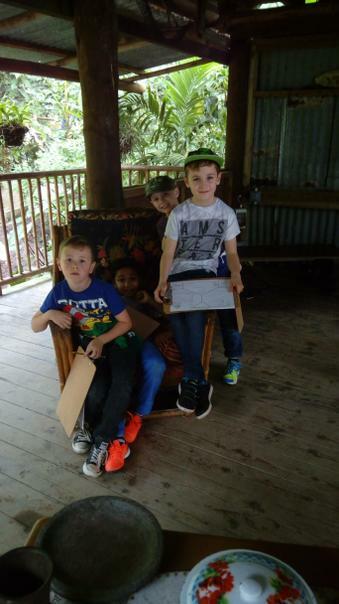 We had a fantastic day on Thursday 23rd March when we went to the Eden Project in Cornwall. 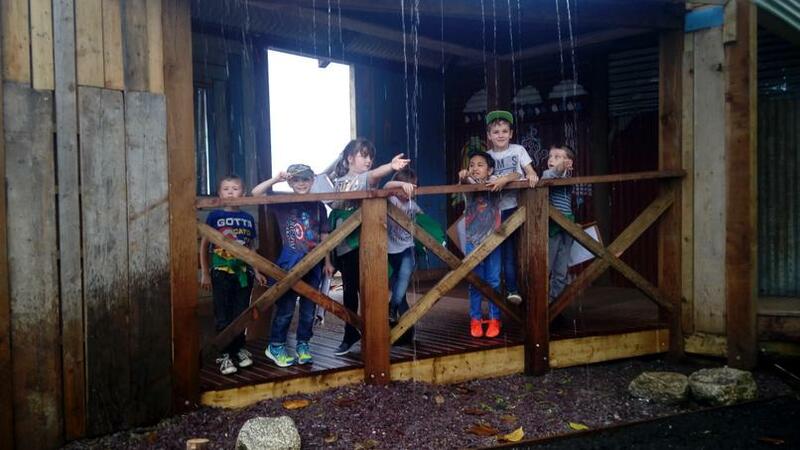 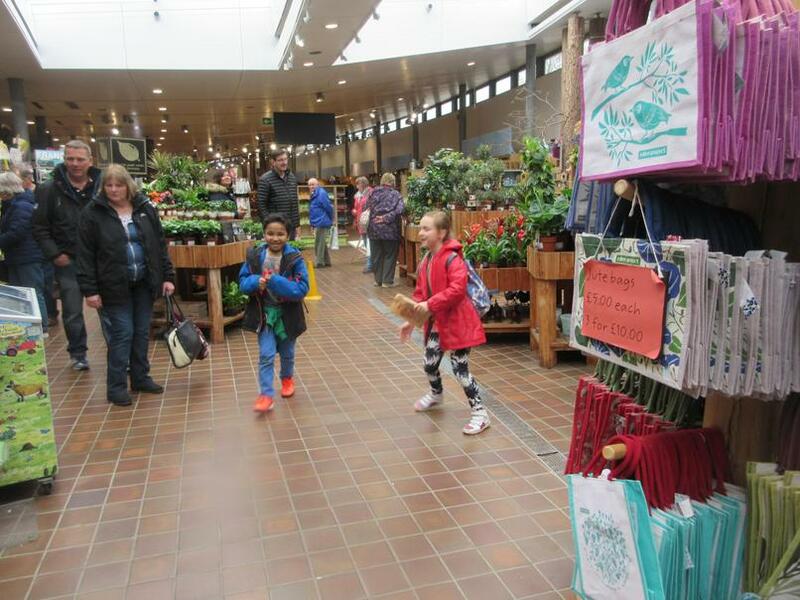 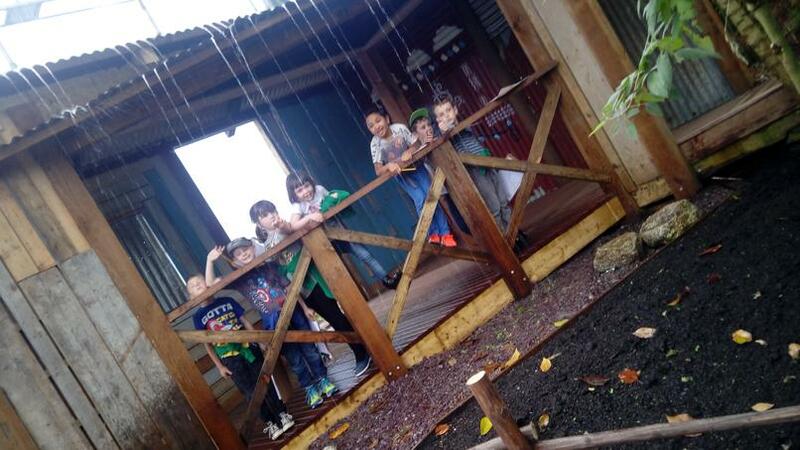 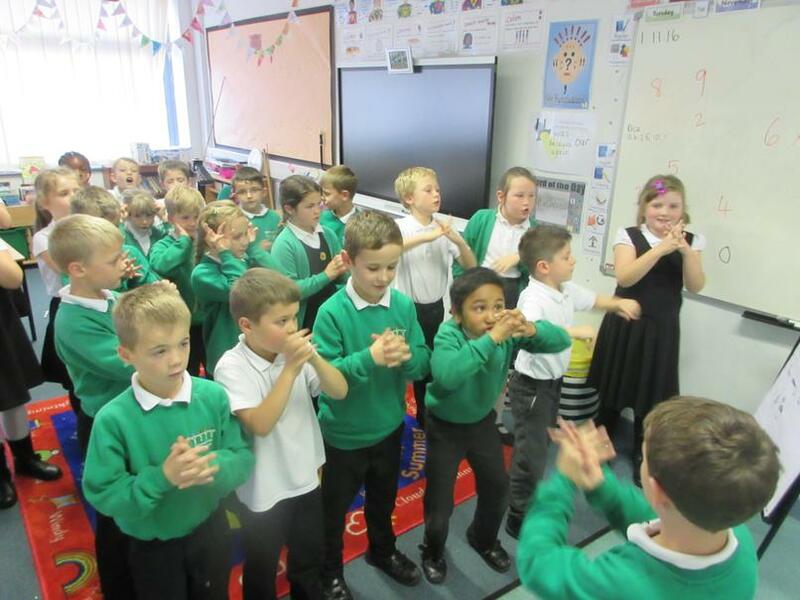 The children all behaved beautifully and they had a fantastic time despite the inclement weather. 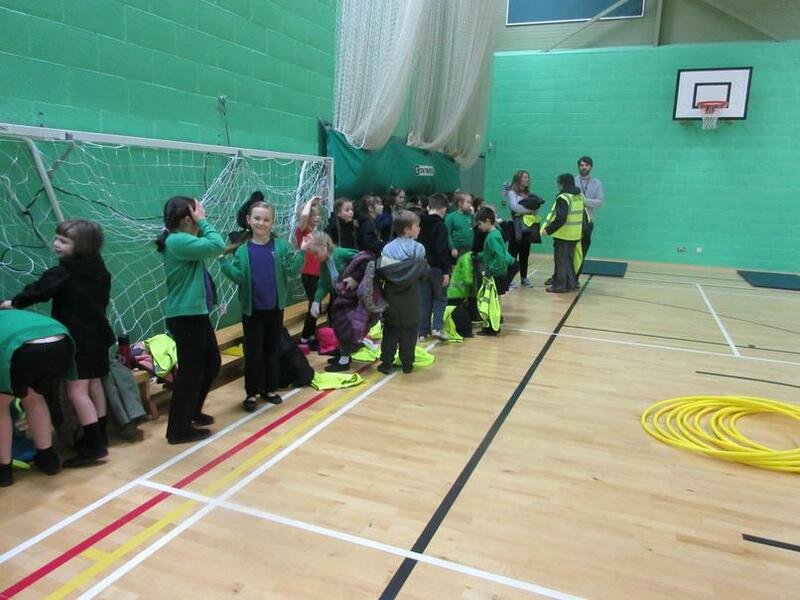 A big thank you to all the parent helpers who came along and made the day a success. 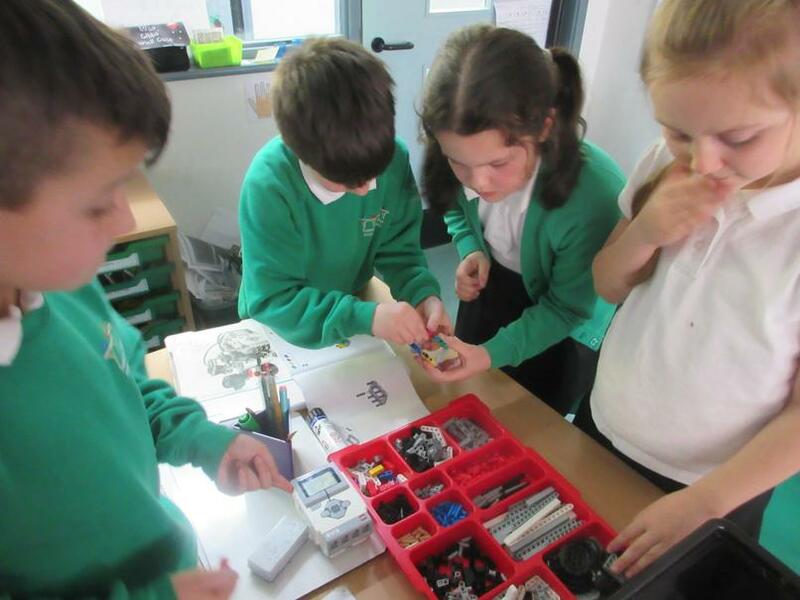 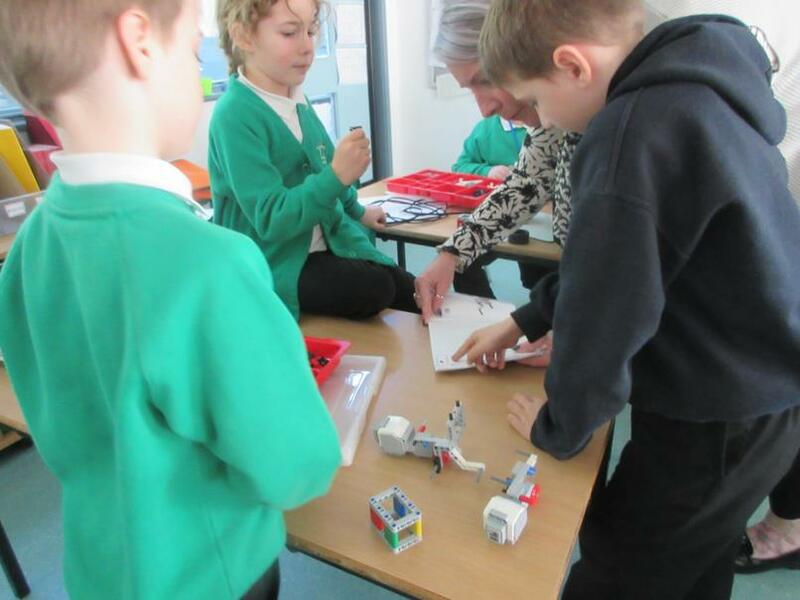 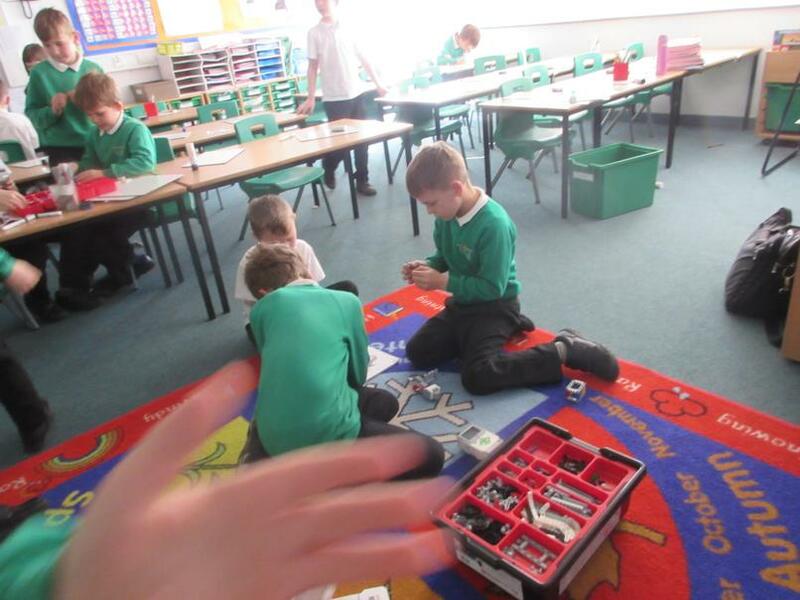 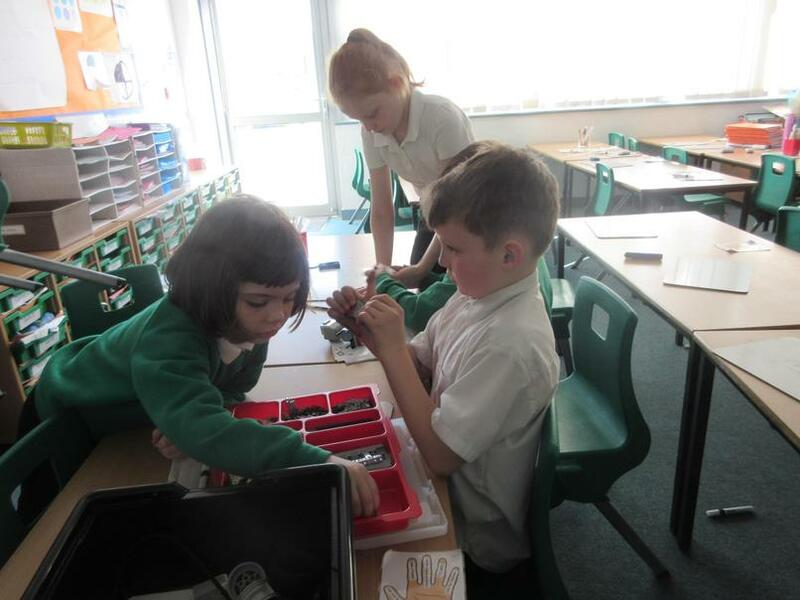 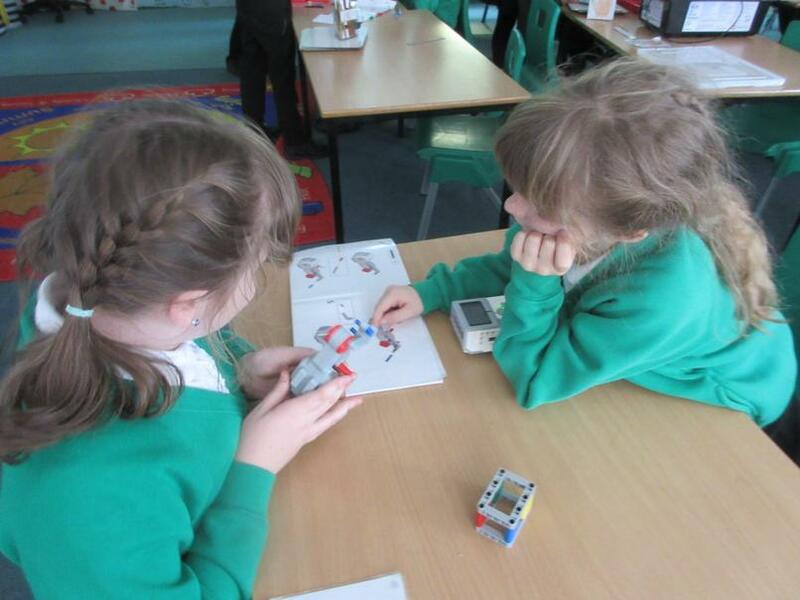 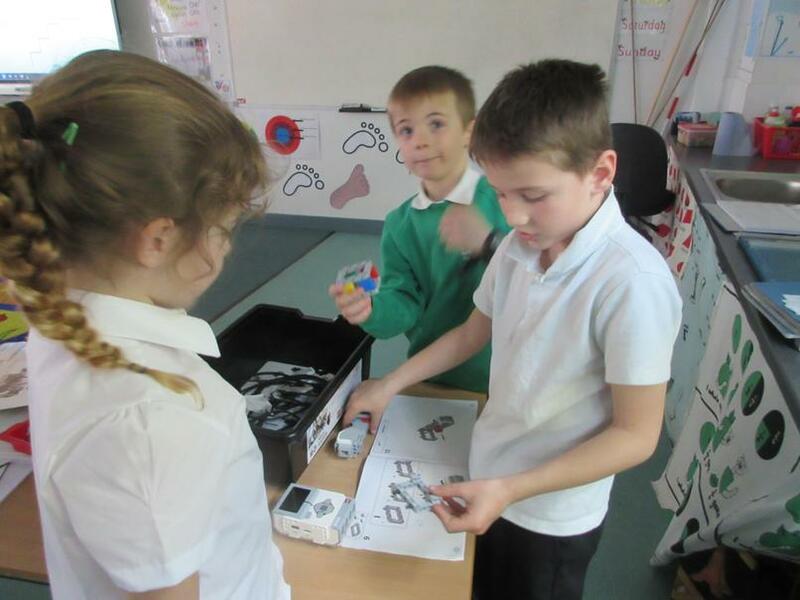 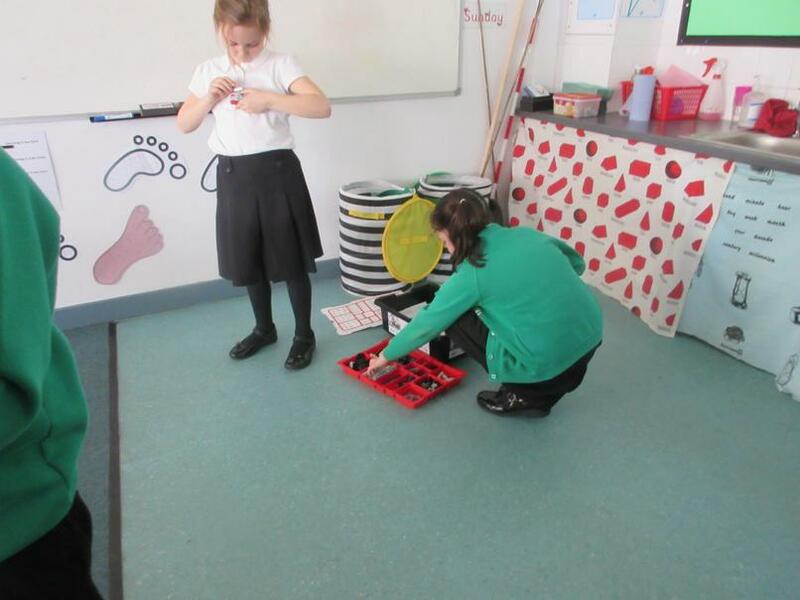 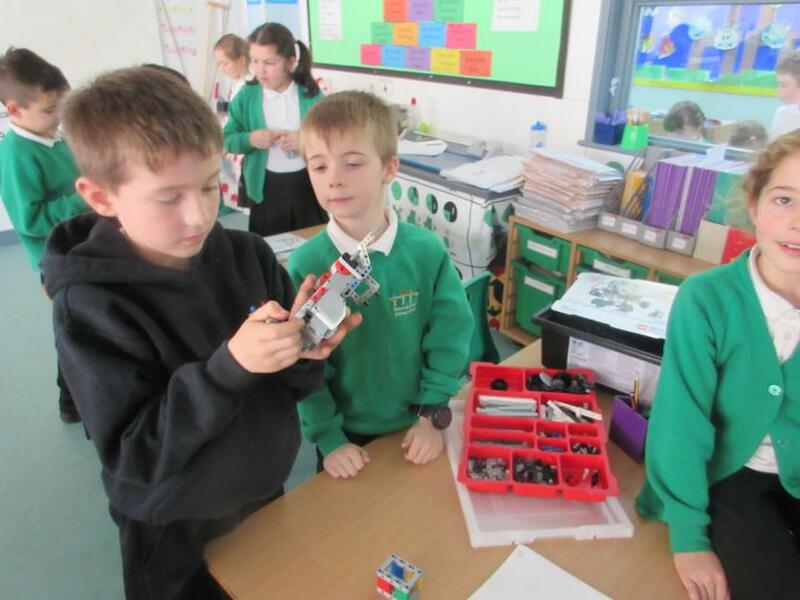 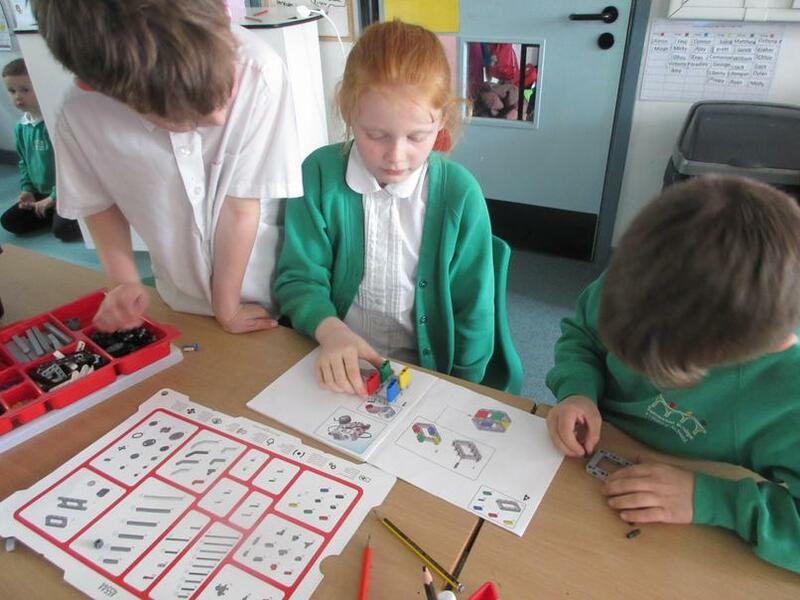 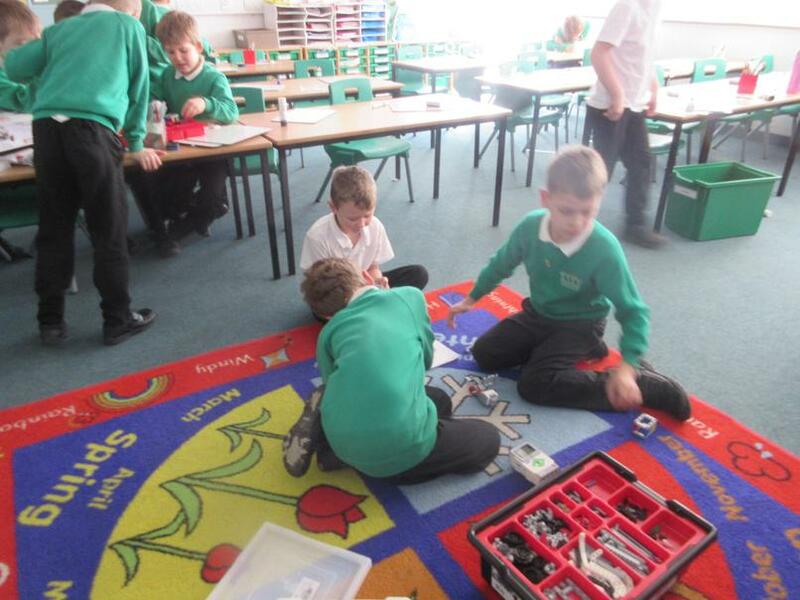 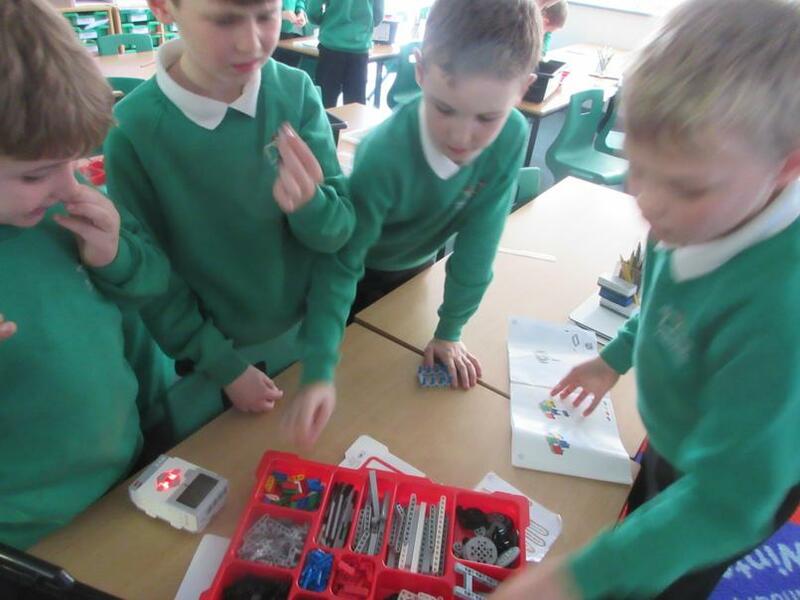 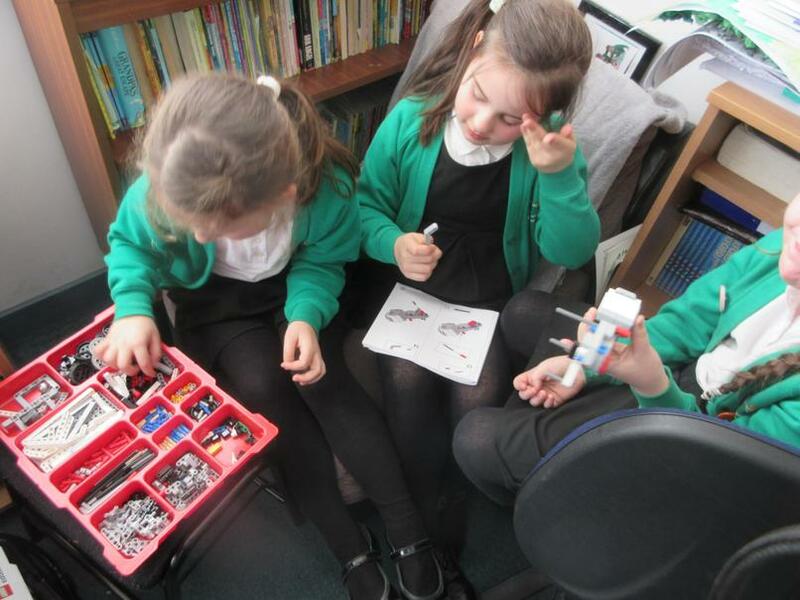 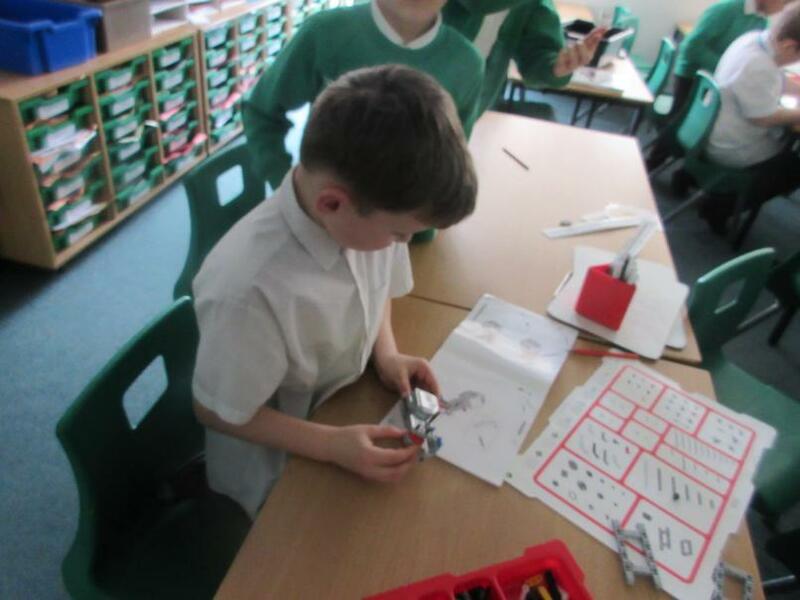 The children have been building a Lego robot, their next step is to program it and make it follow a route. 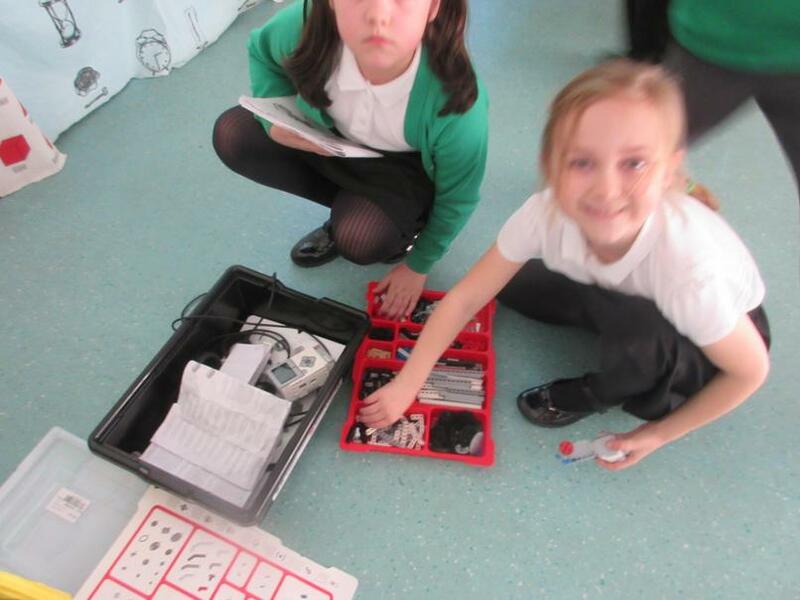 These robots are complicated and very challenging to build. 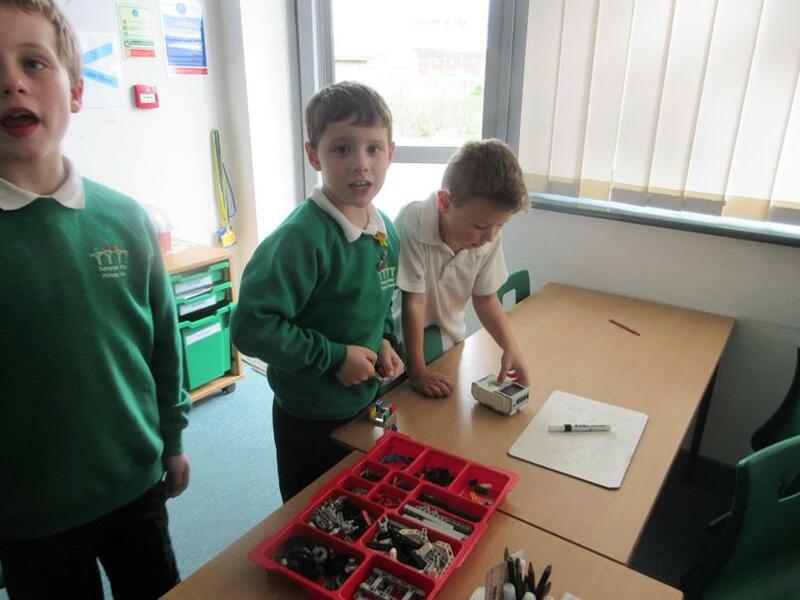 They all worked collaboratively. 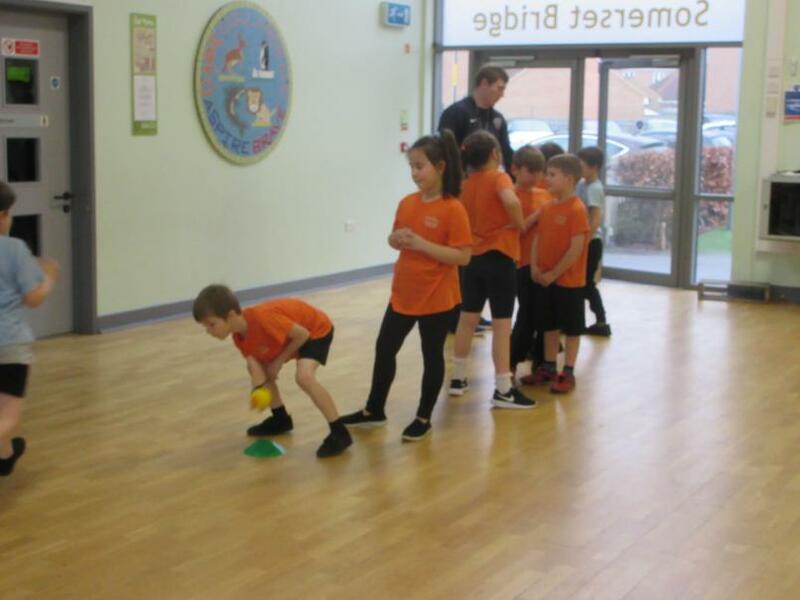 Well done Cheetah's. 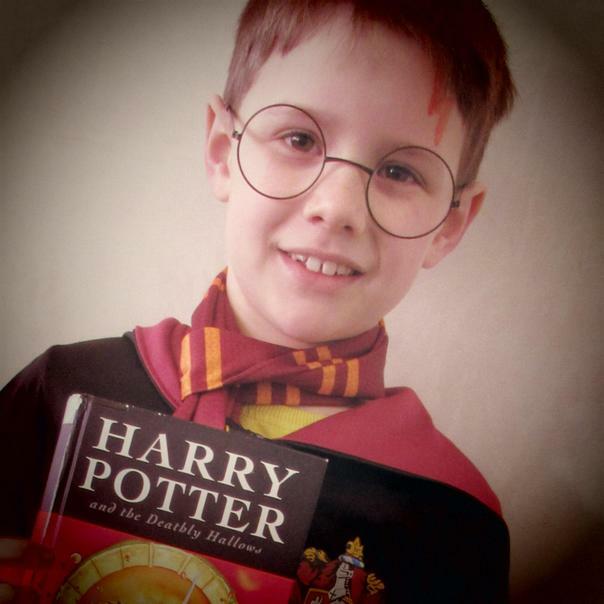 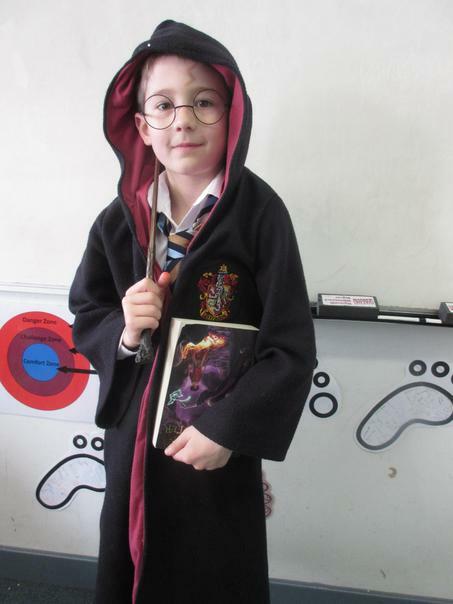 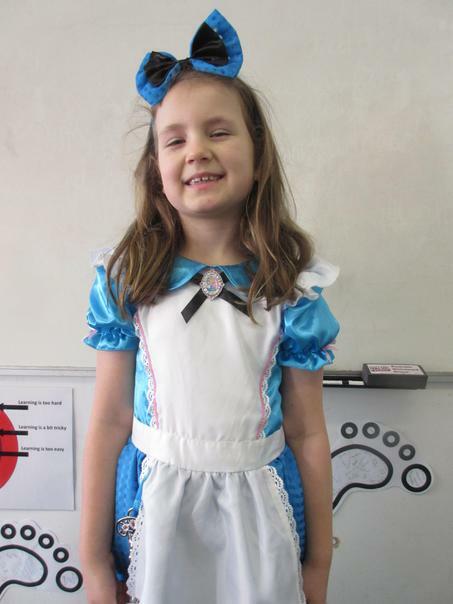 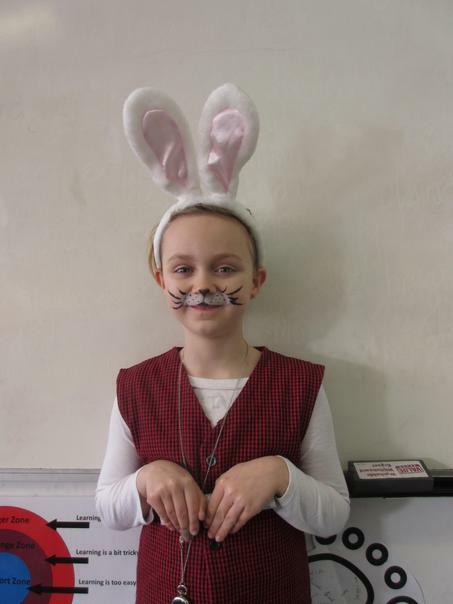 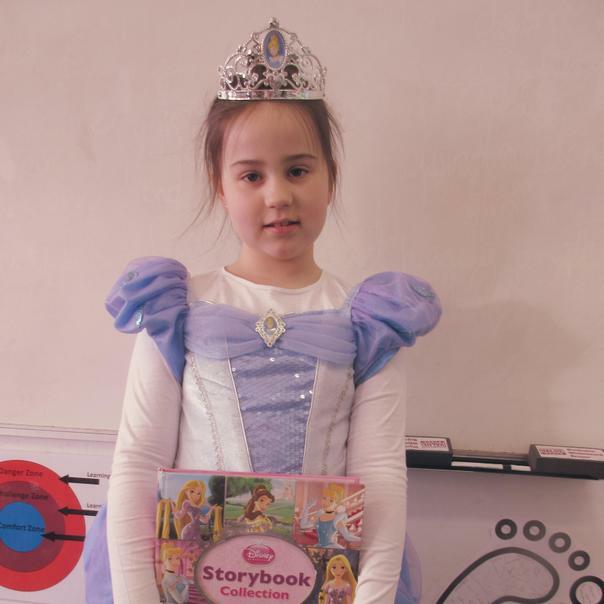 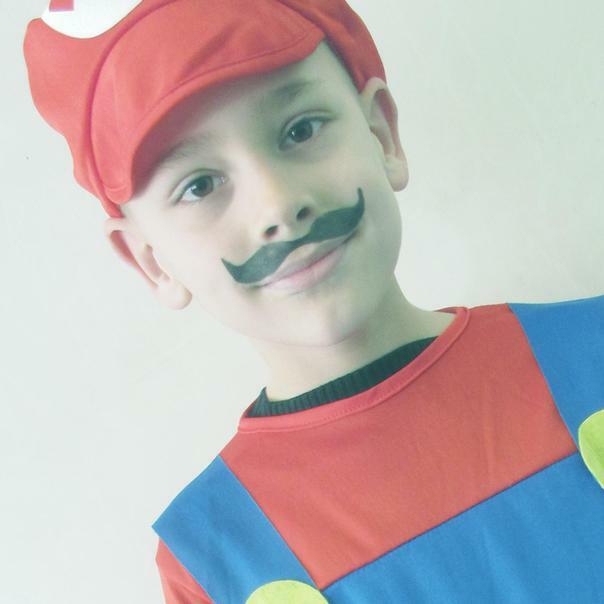 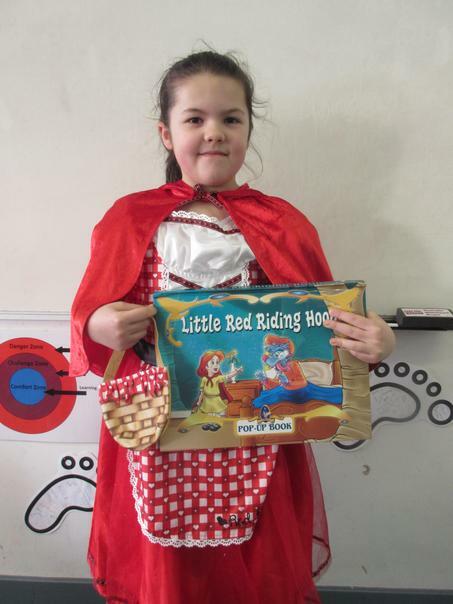 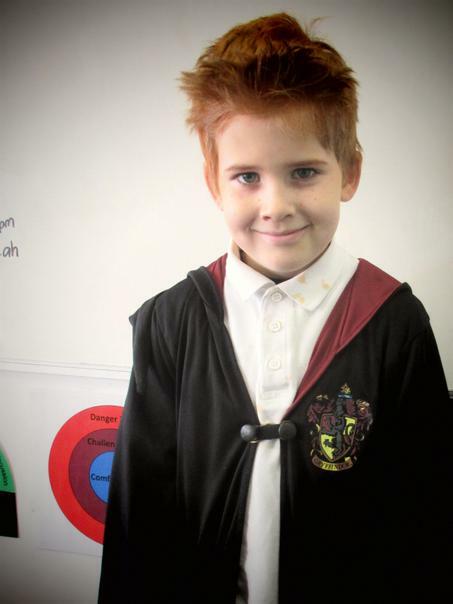 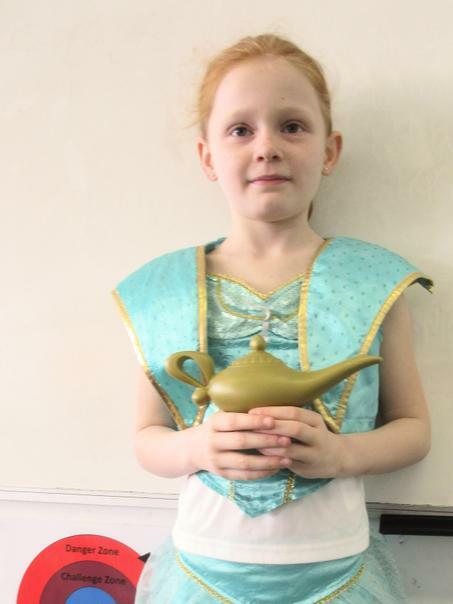 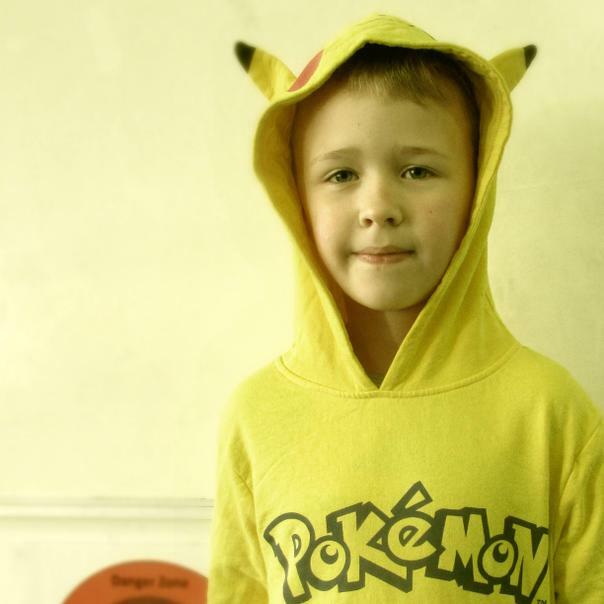 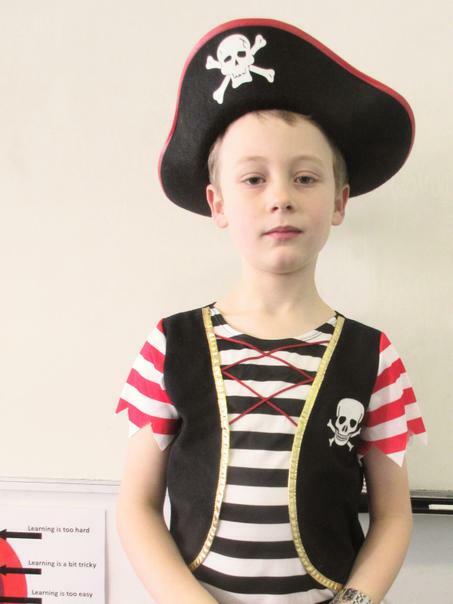 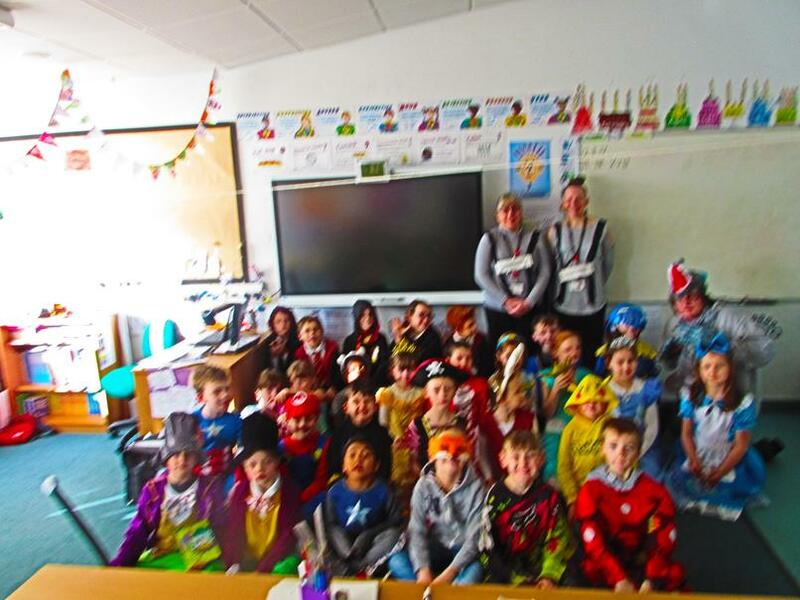 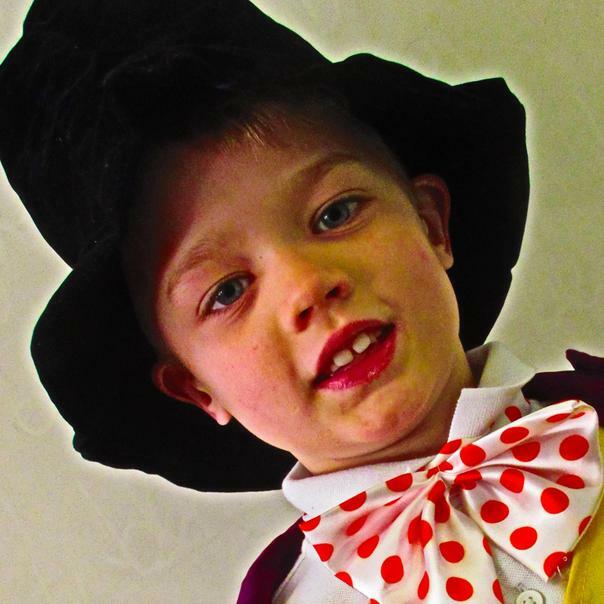 The children all made a fantastic effort to dress up for World Book Day...they looked amazing. 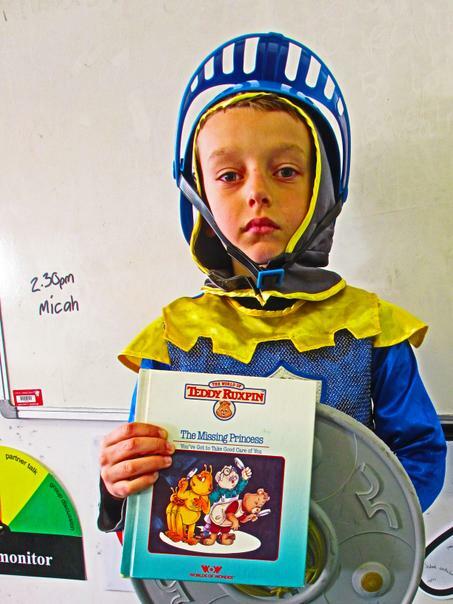 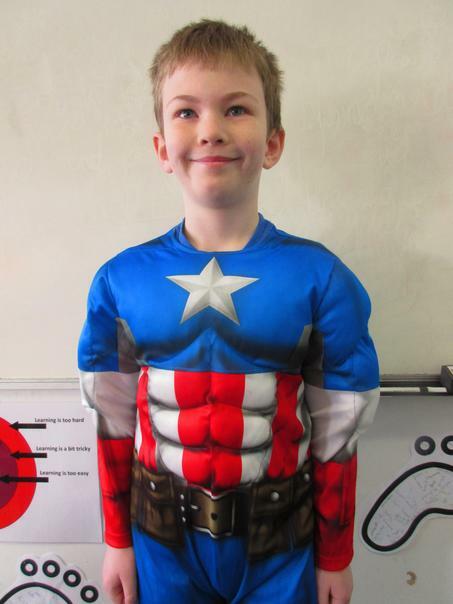 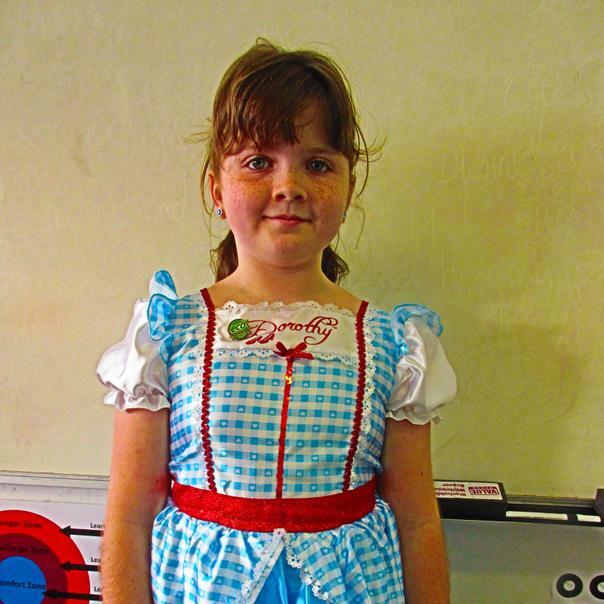 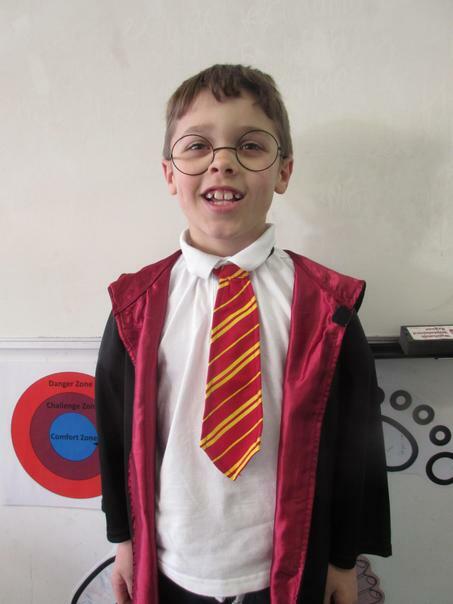 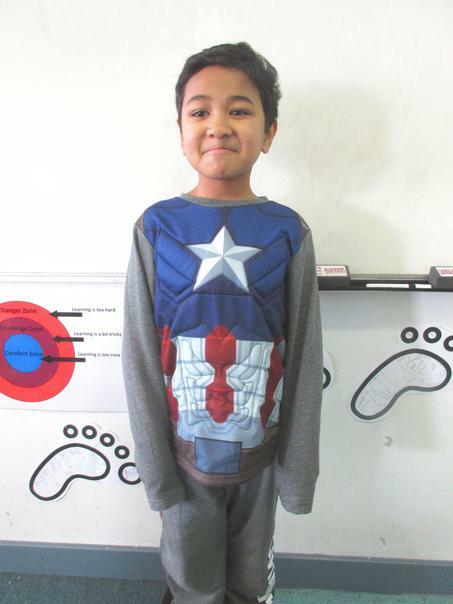 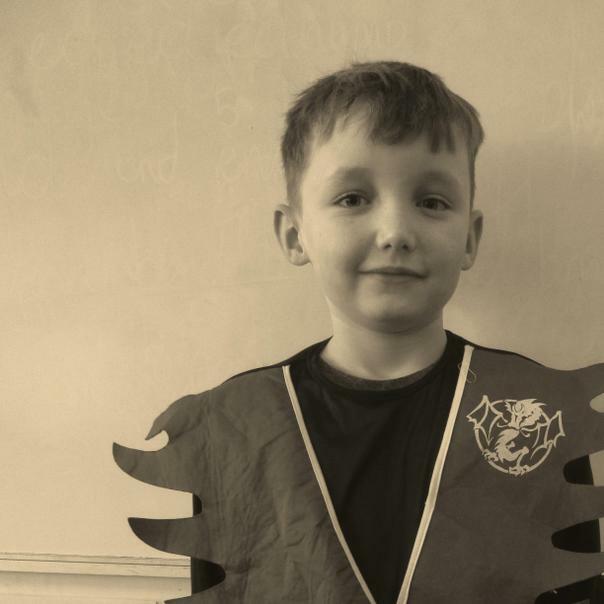 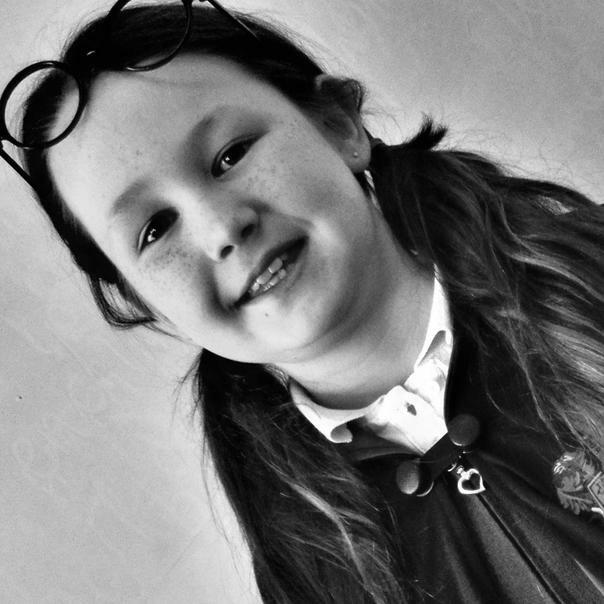 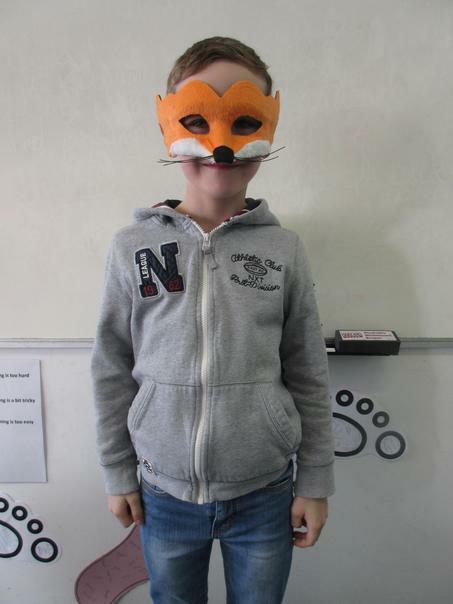 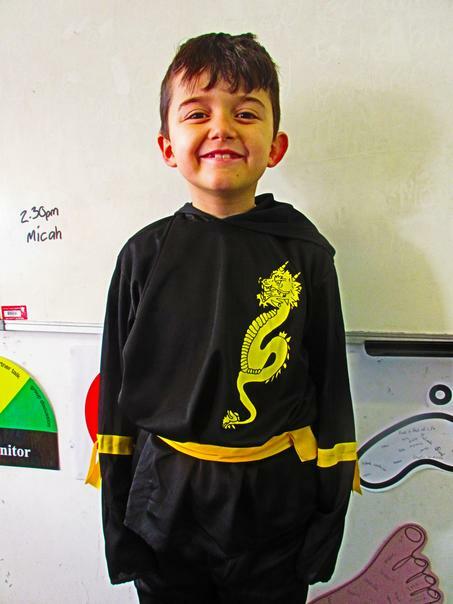 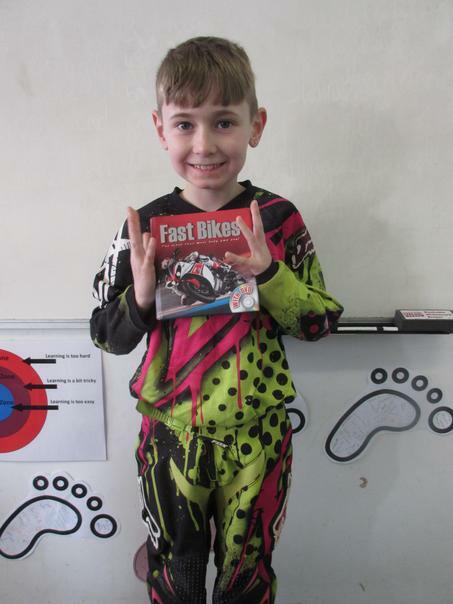 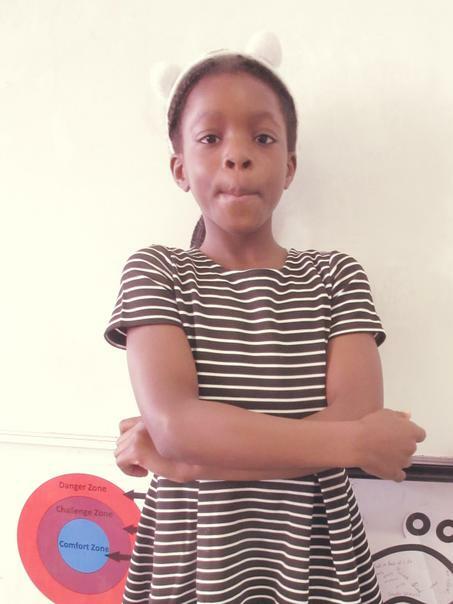 Well done Reegan for winning the best costume in Cheetah's class. 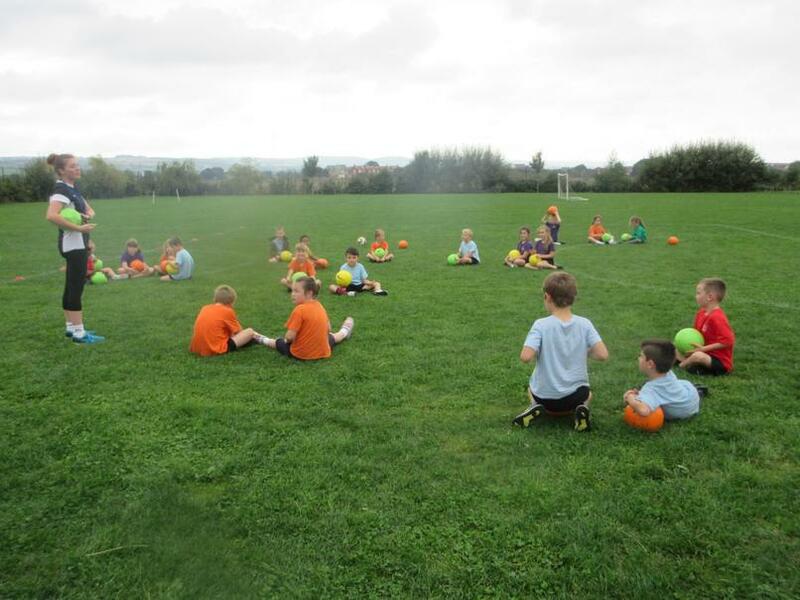 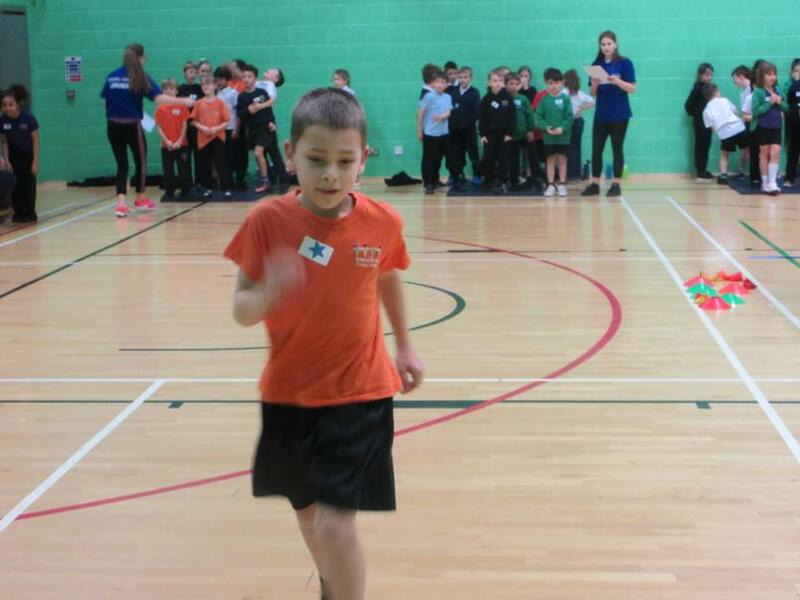 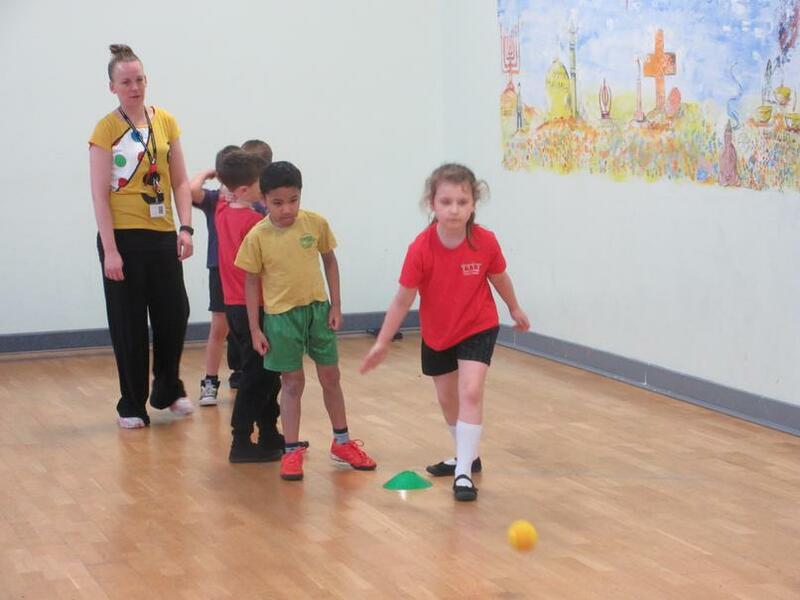 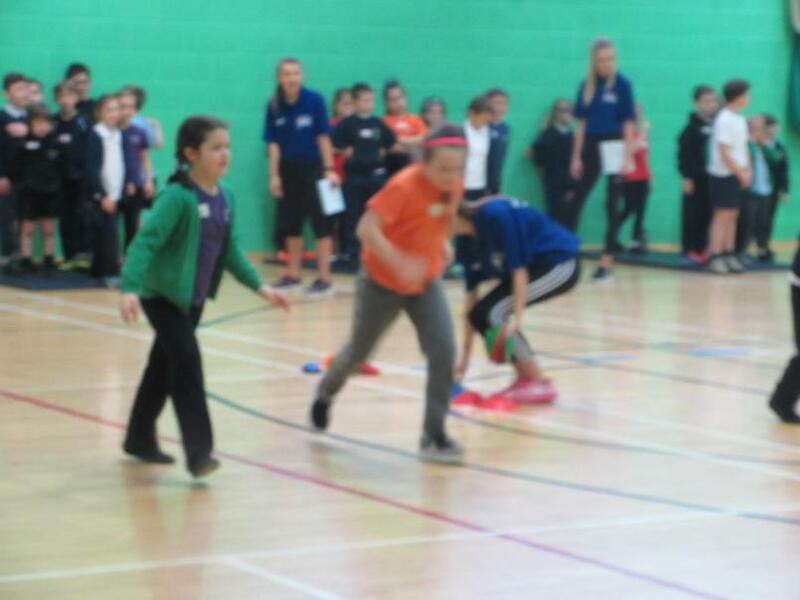 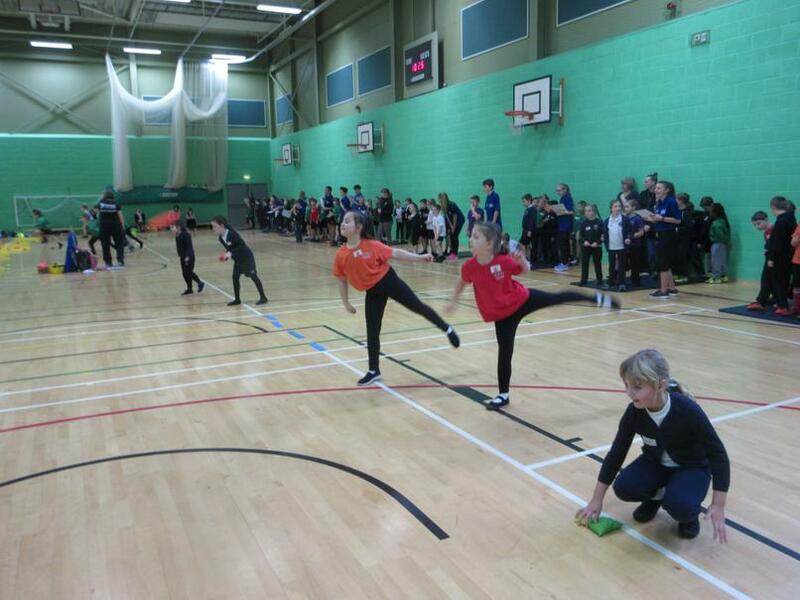 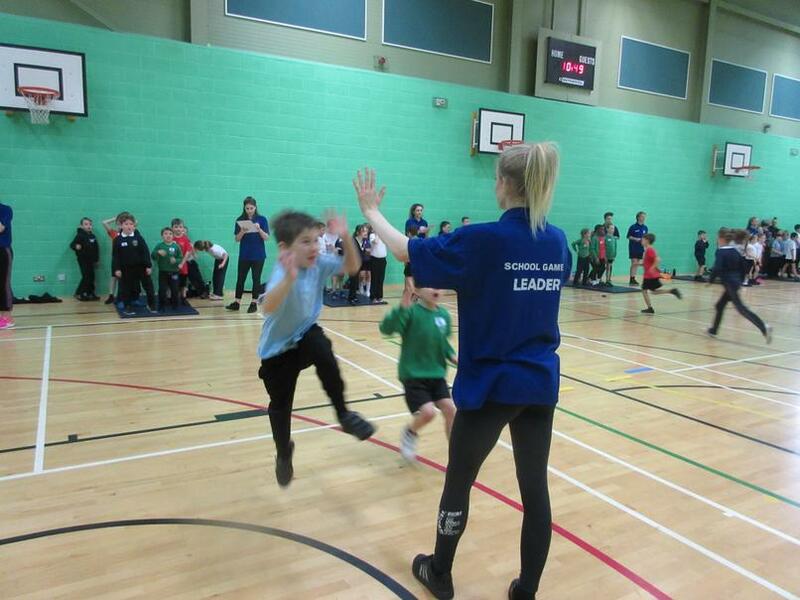 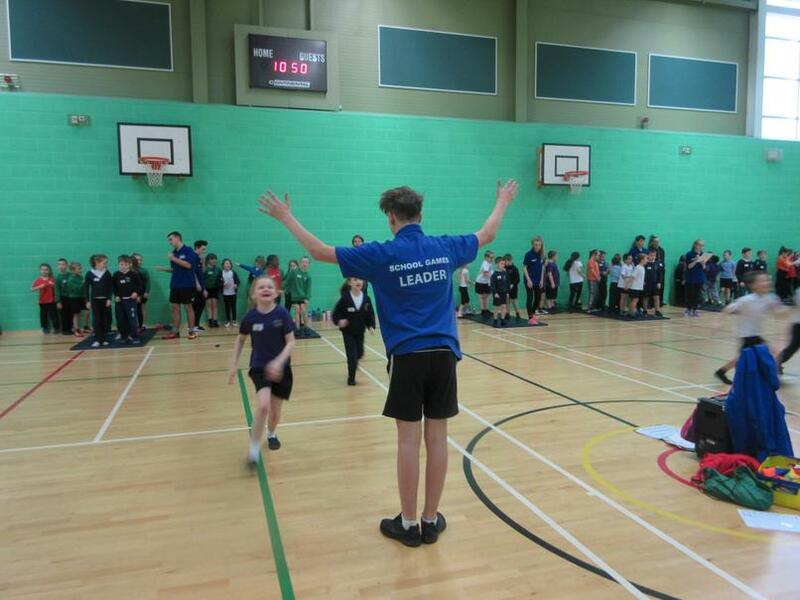 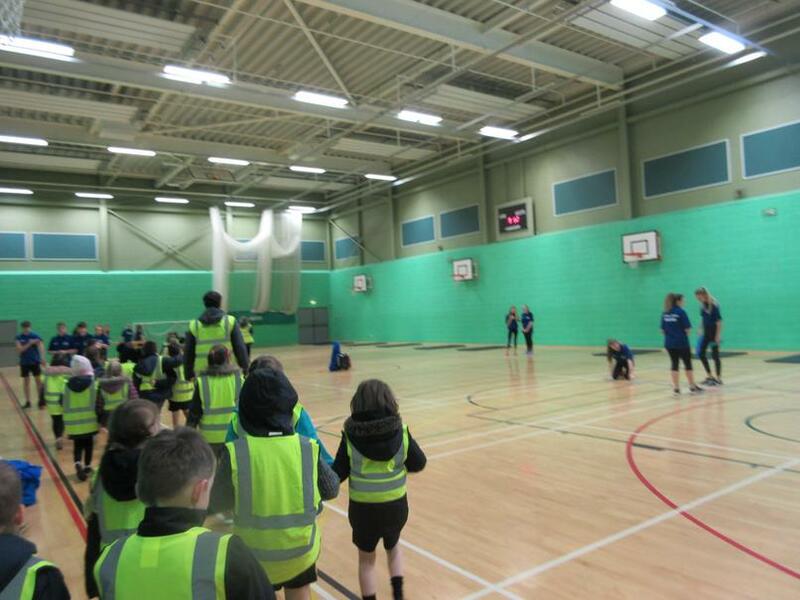 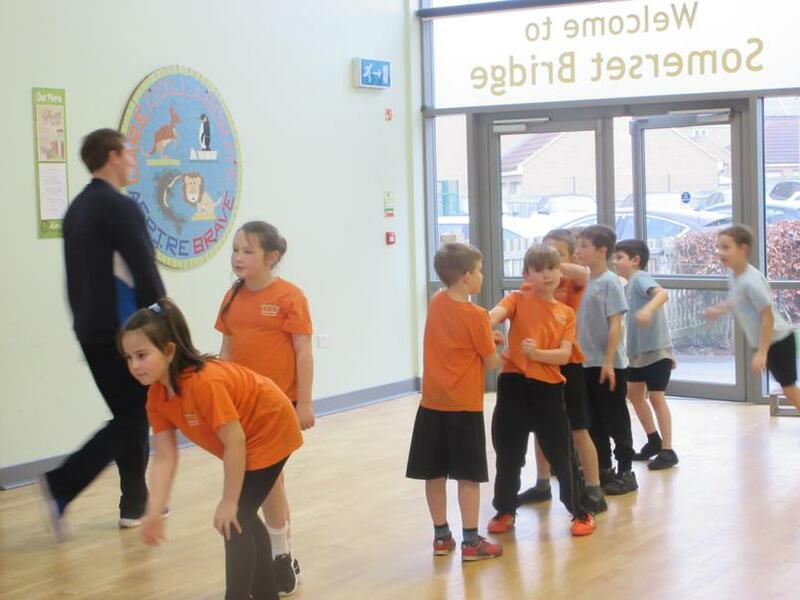 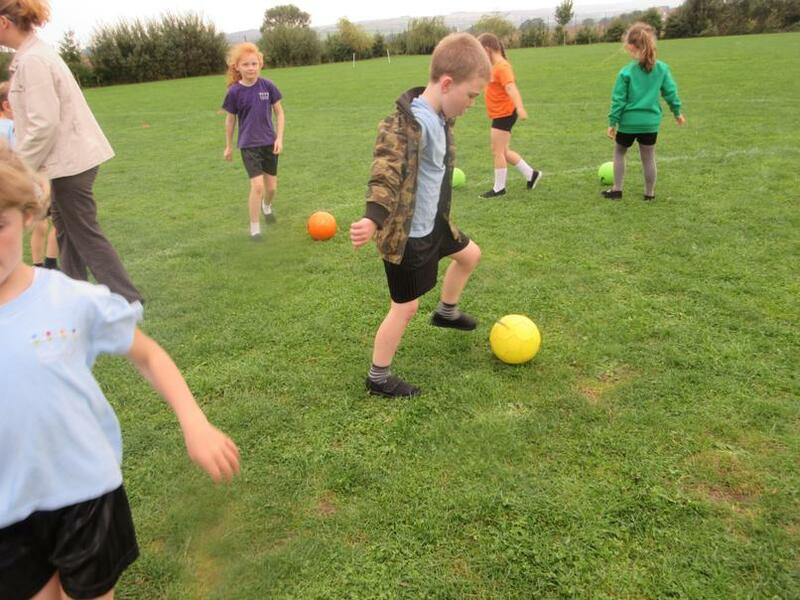 The children have been working with the Sports Leaders on a range of skills and team games. 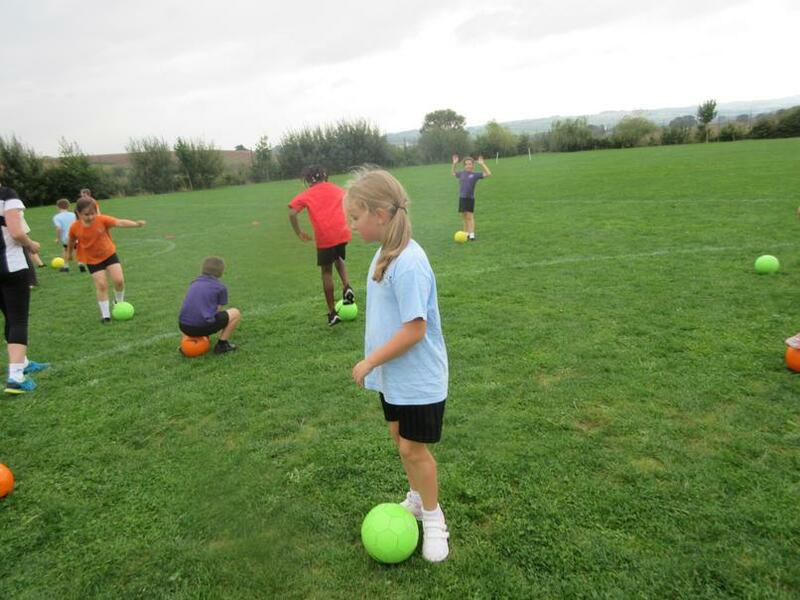 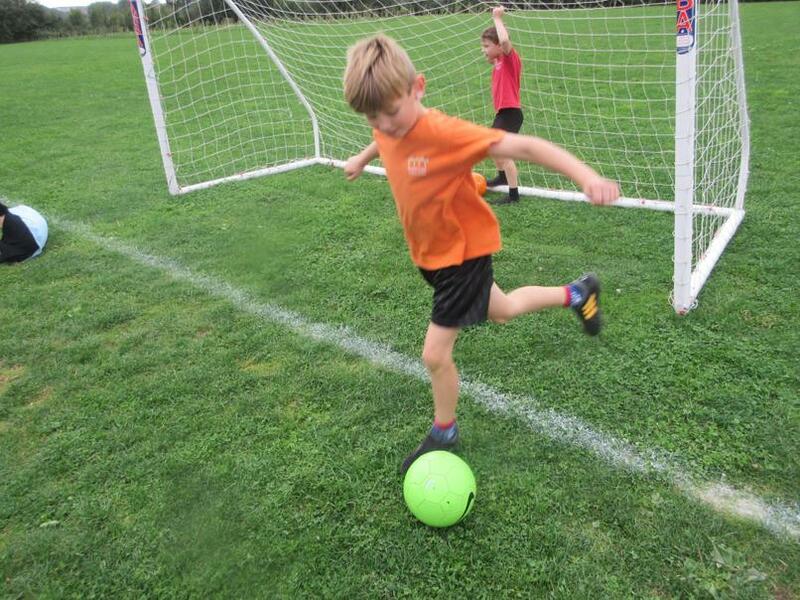 This includes ball games, basic catching and co-ordination. 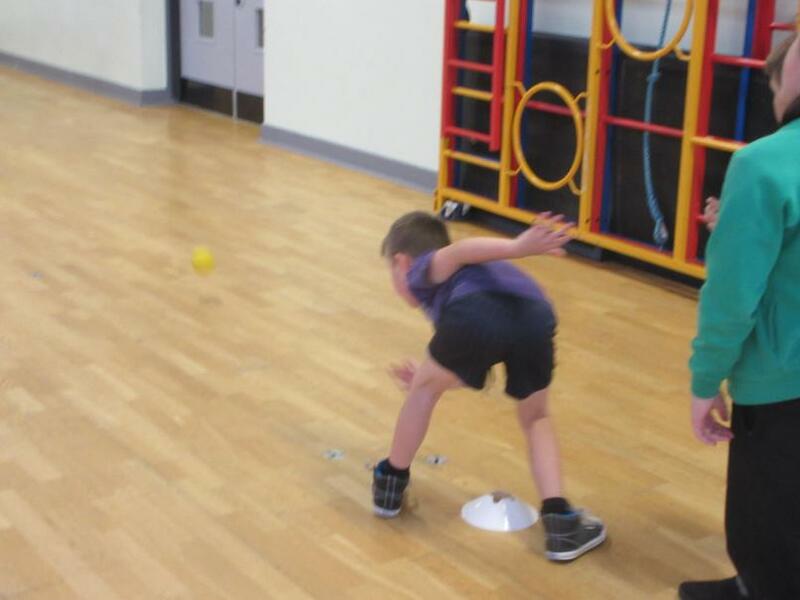 They are focusing on working together as part of a team by playing bench ball and dodge ball. 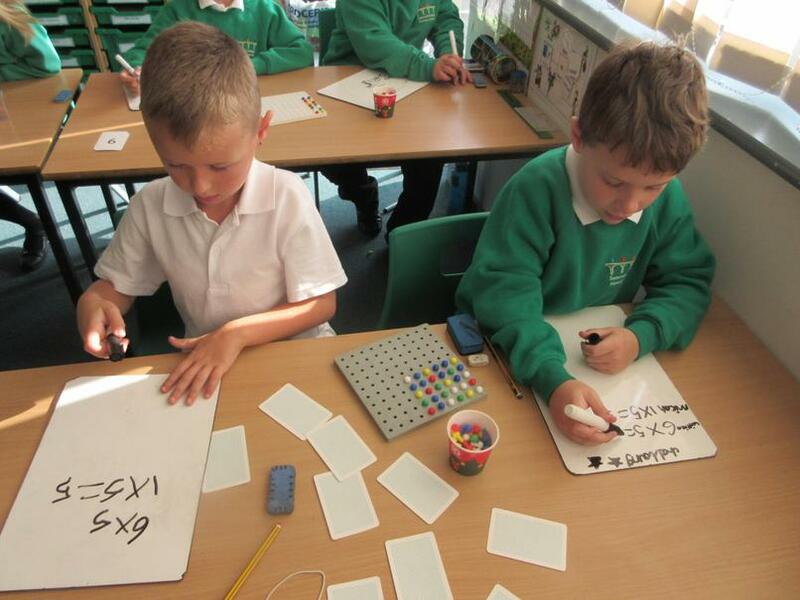 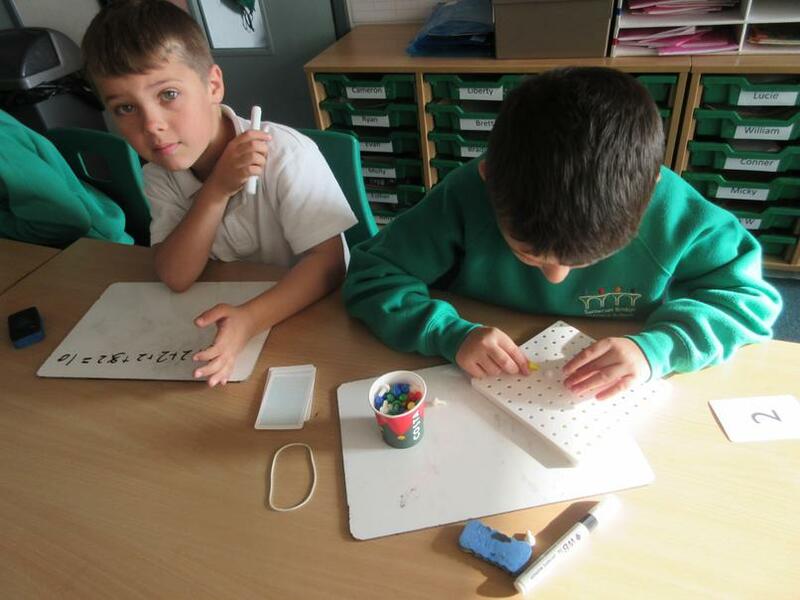 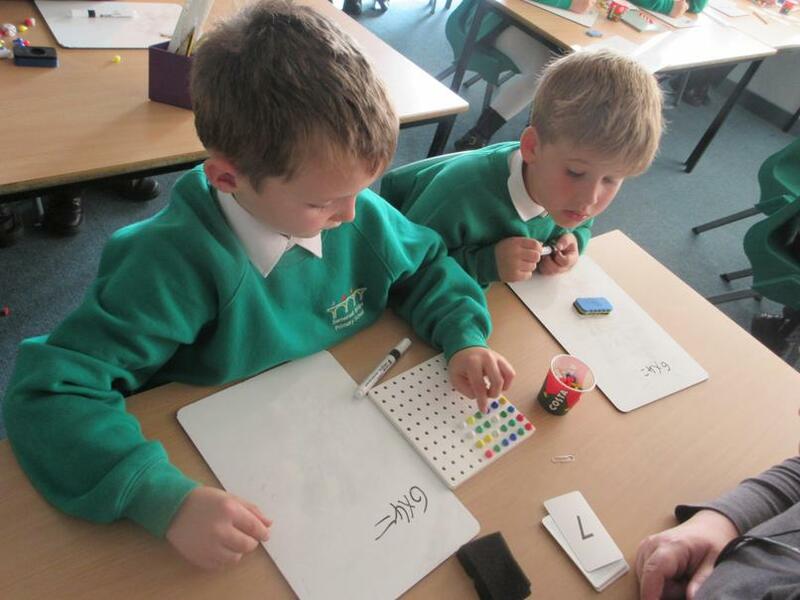 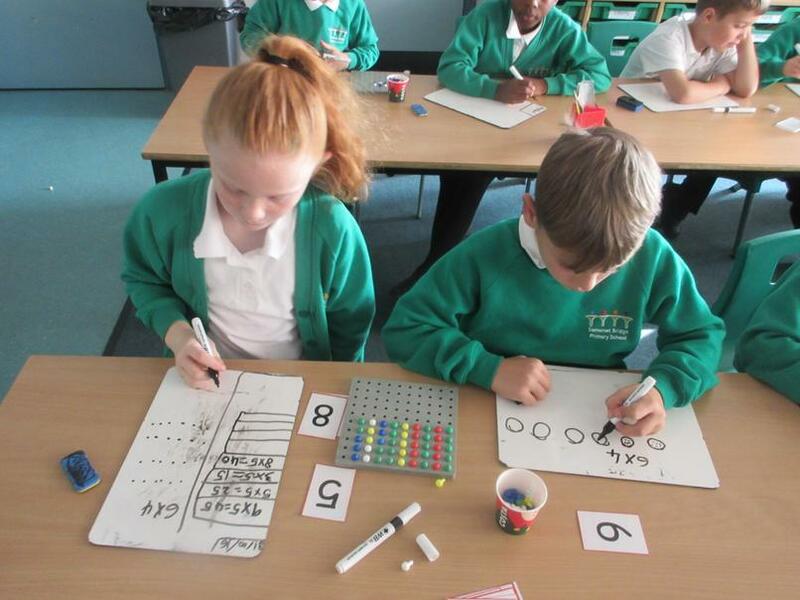 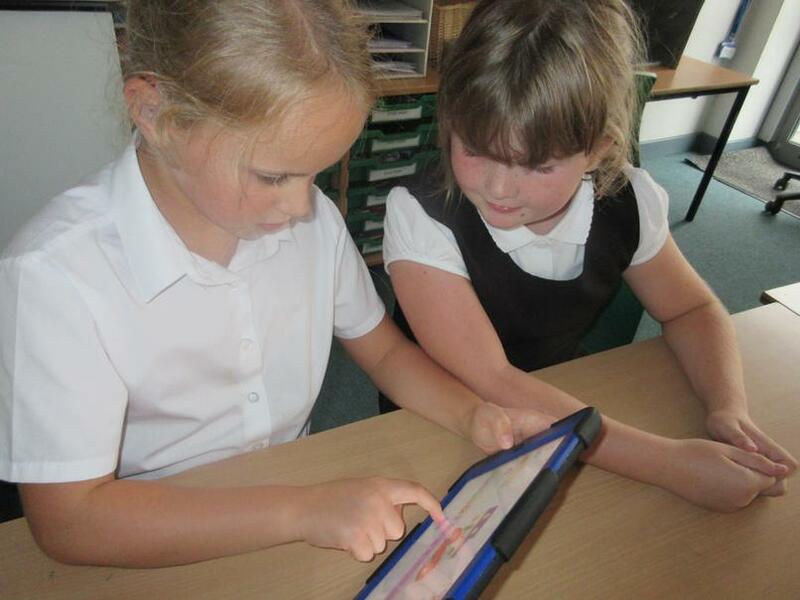 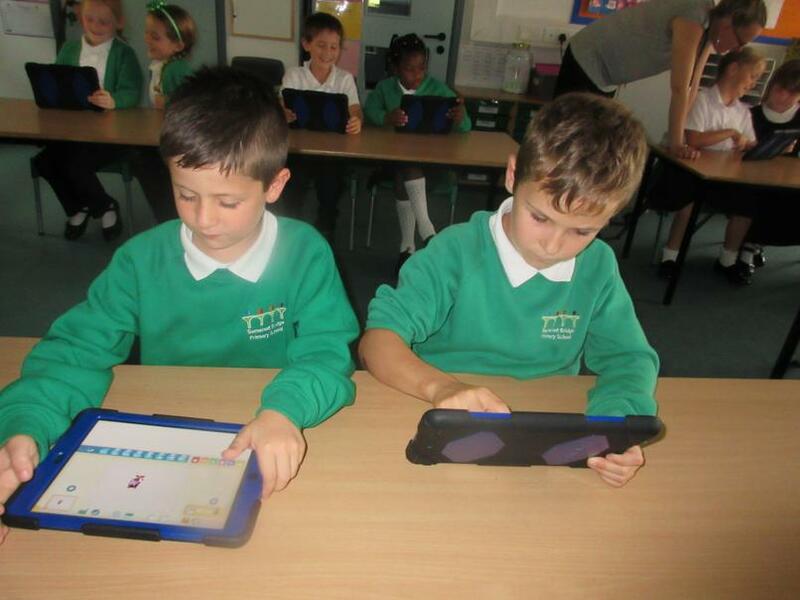 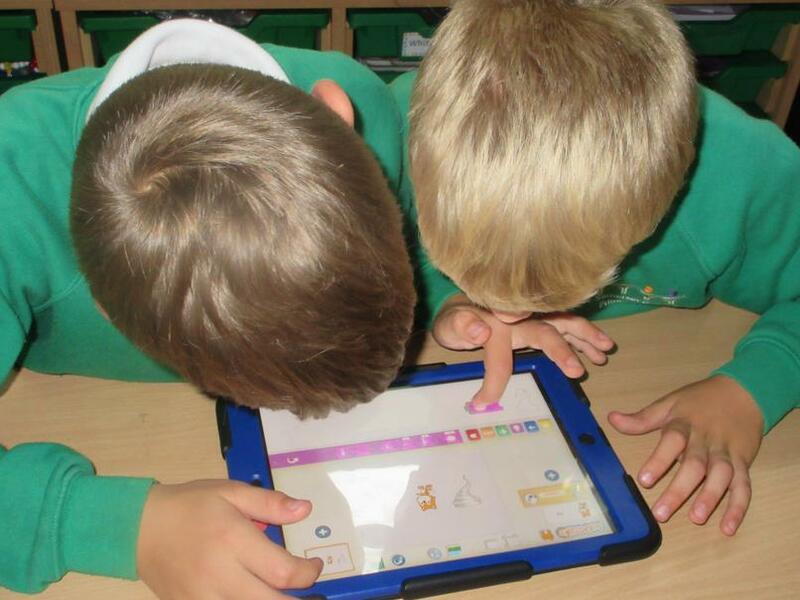 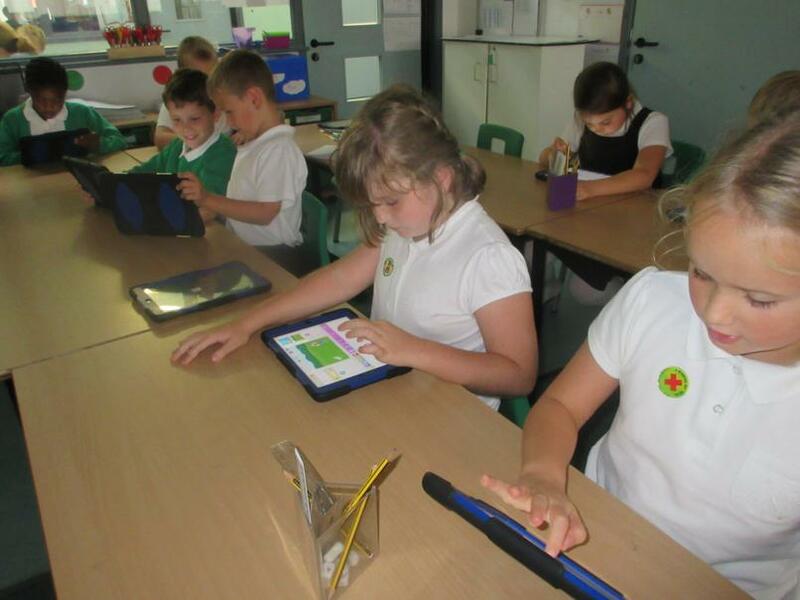 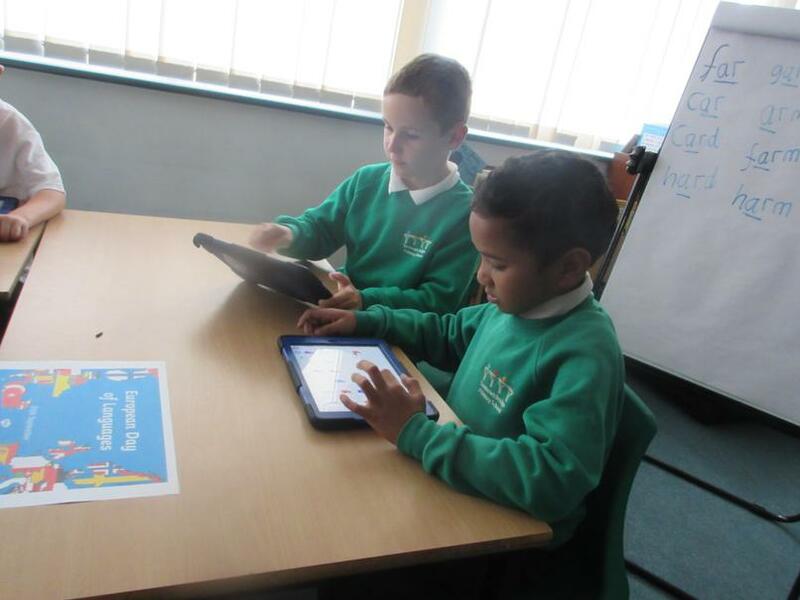 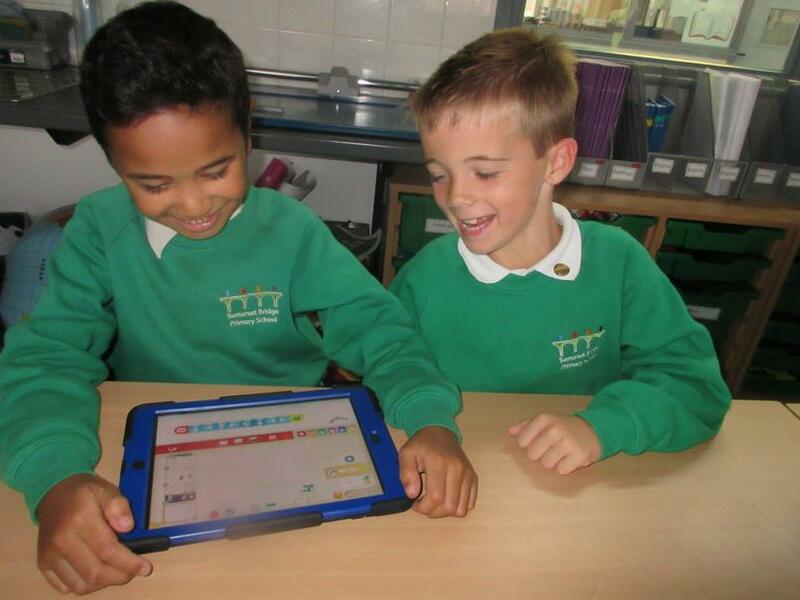 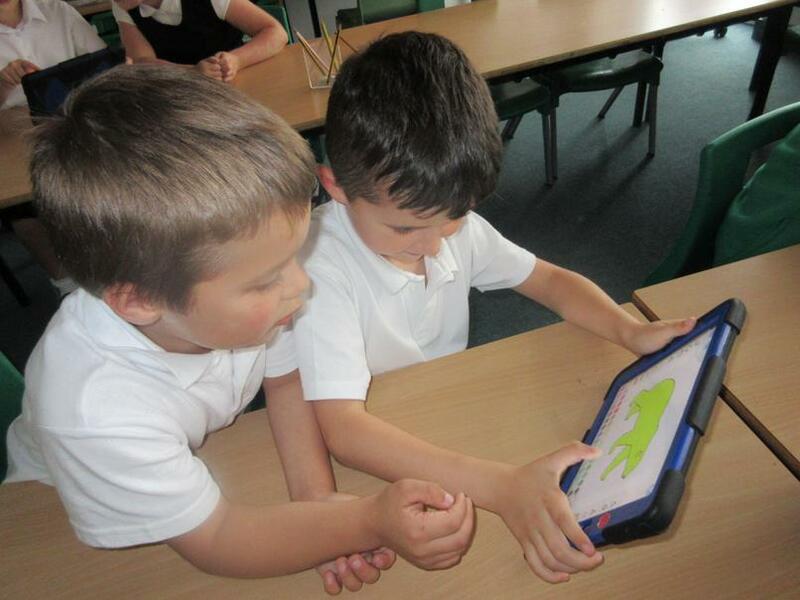 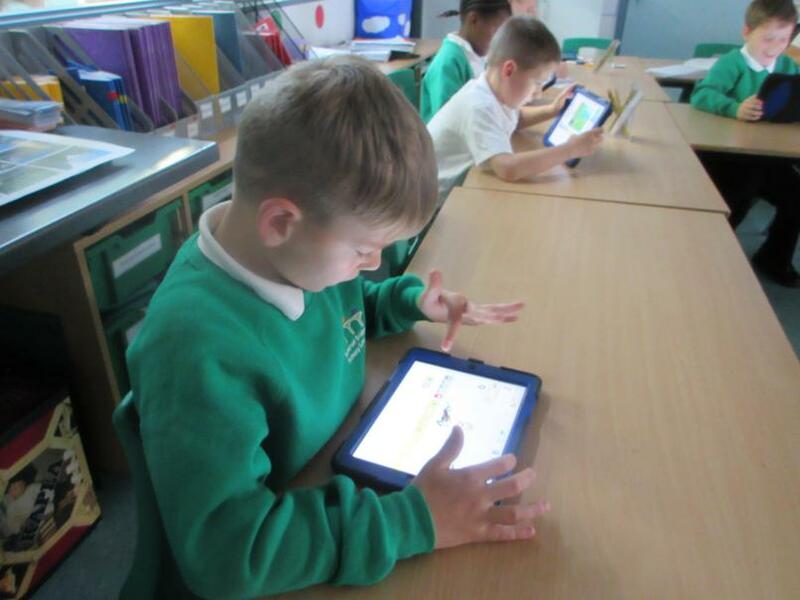 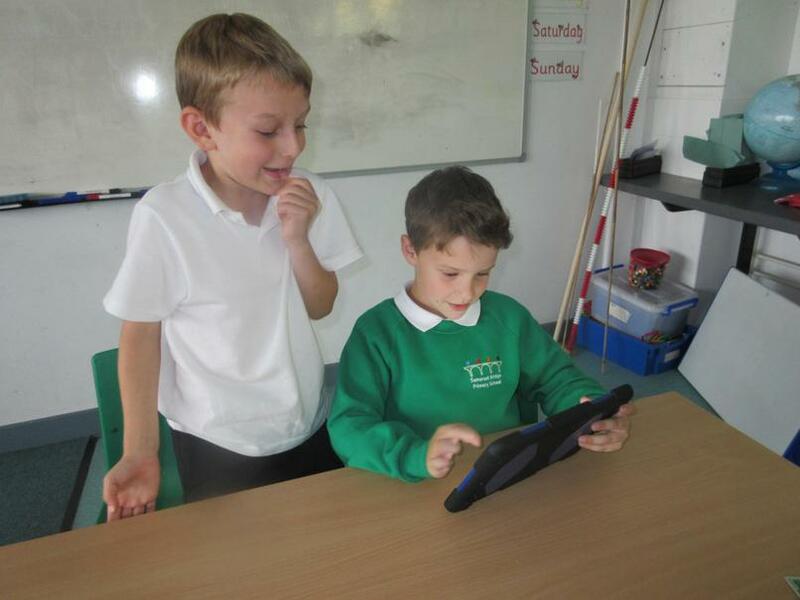 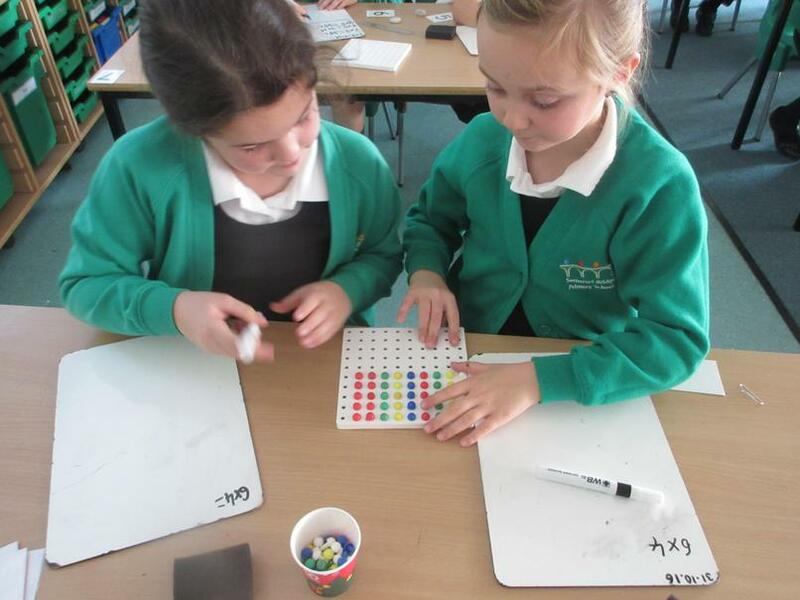 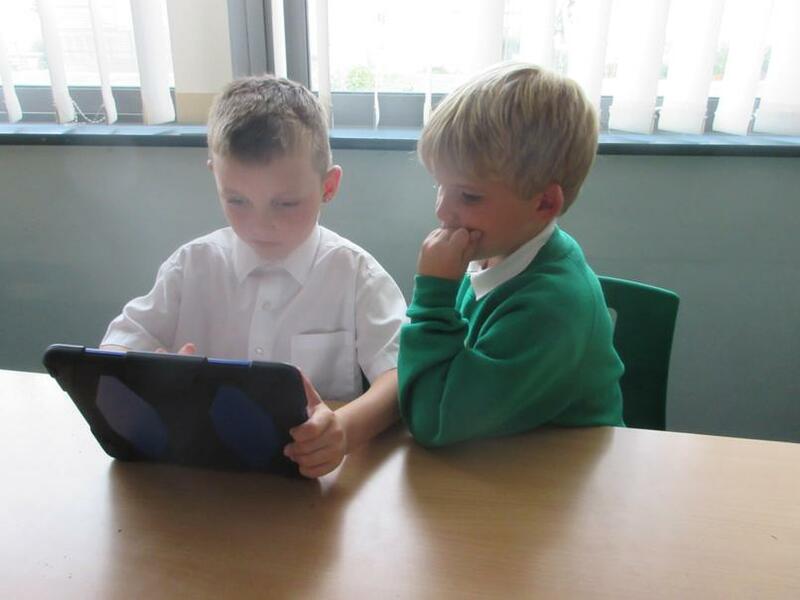 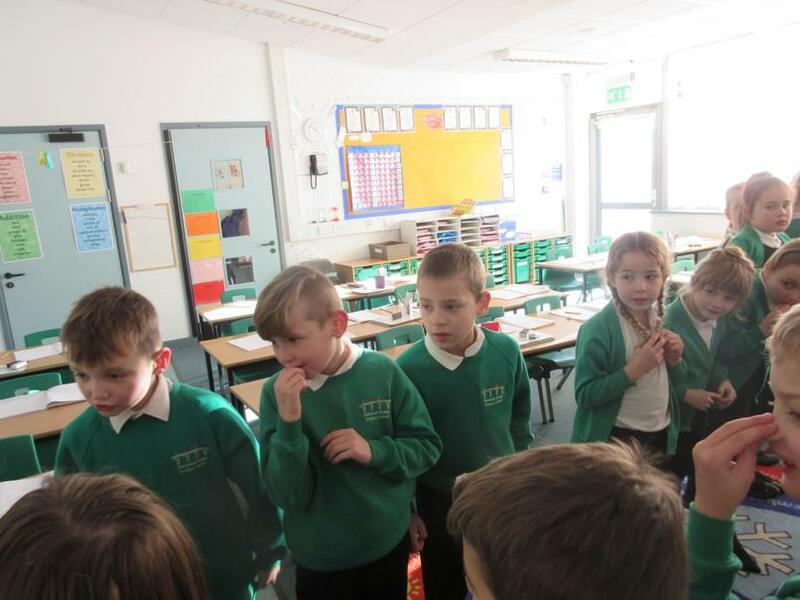 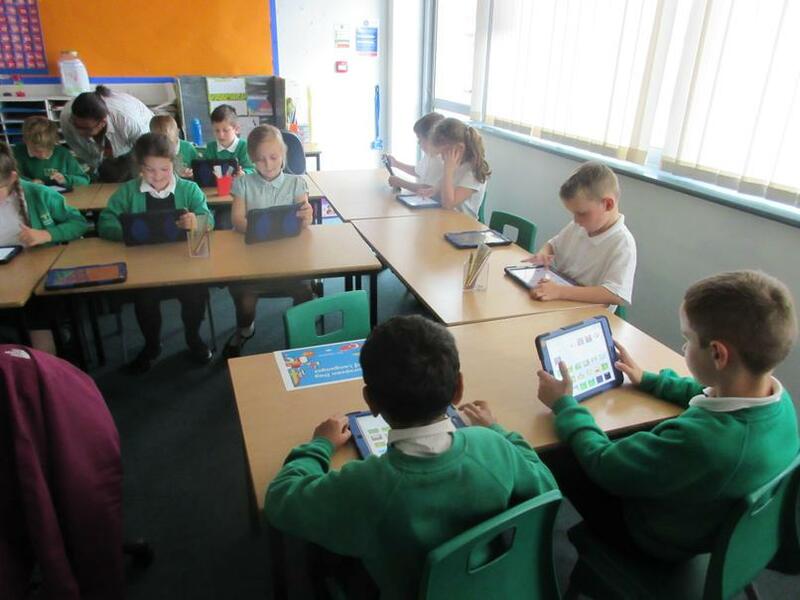 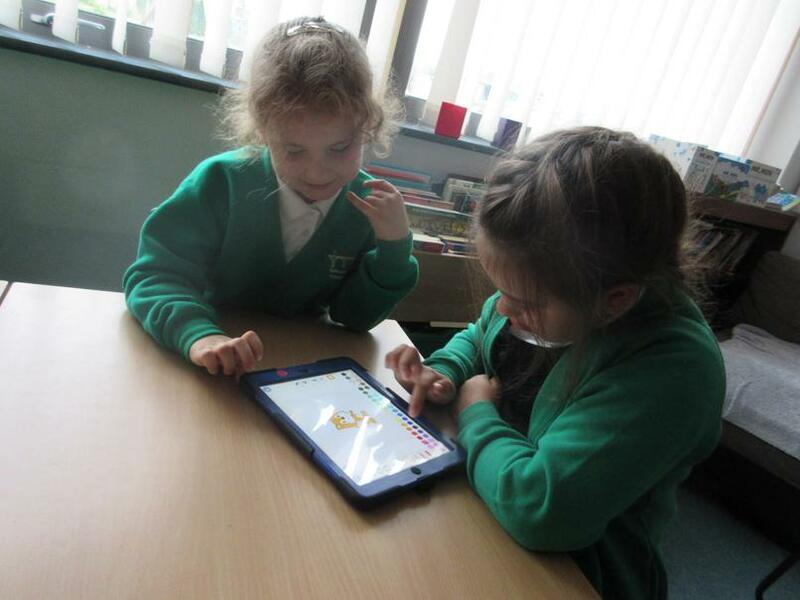 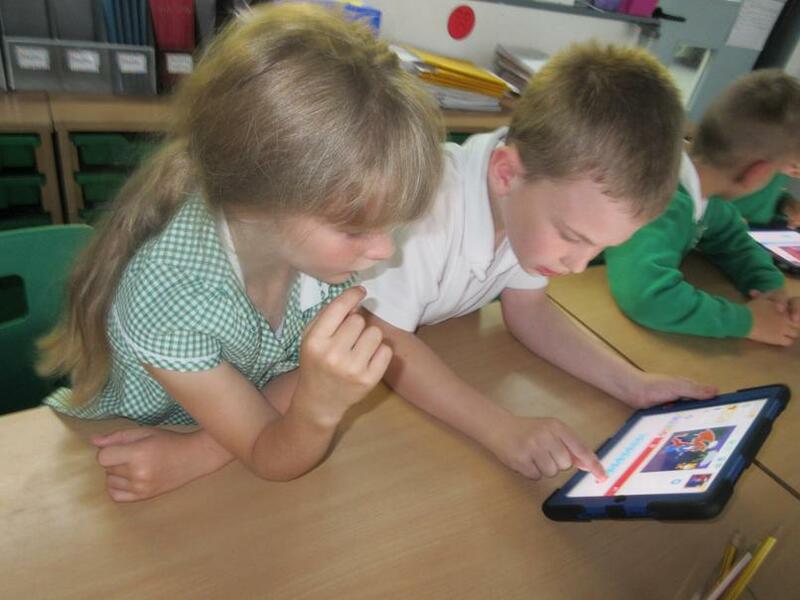 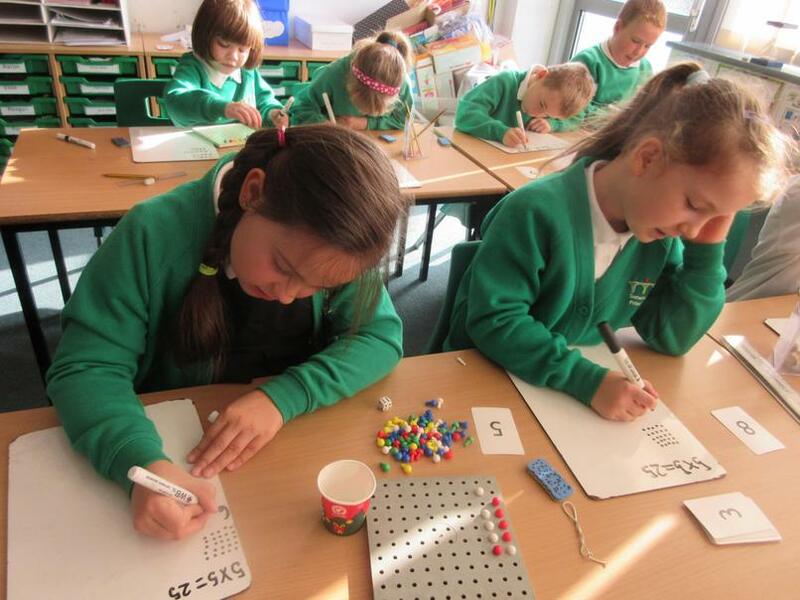 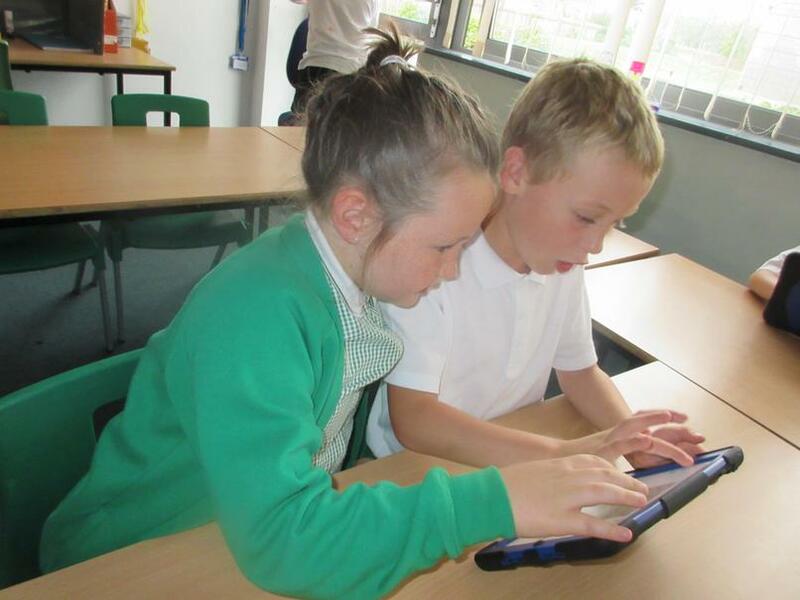 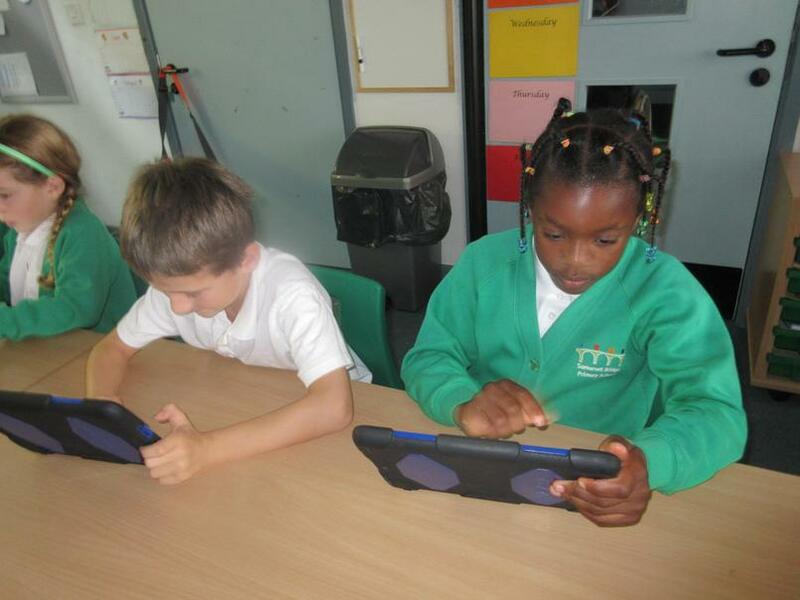 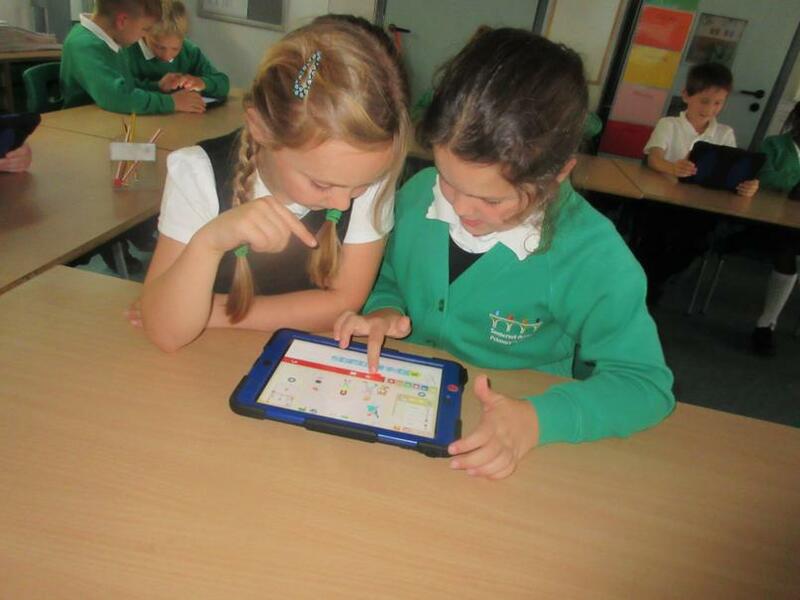 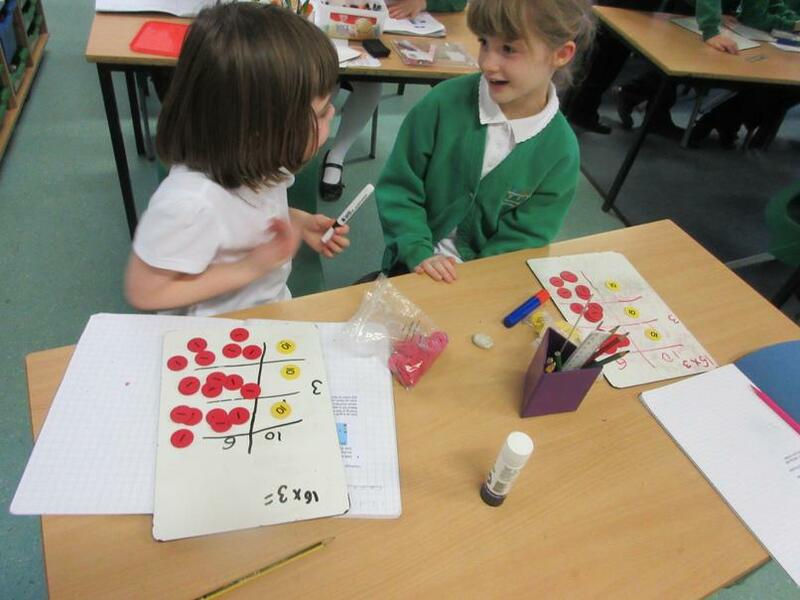 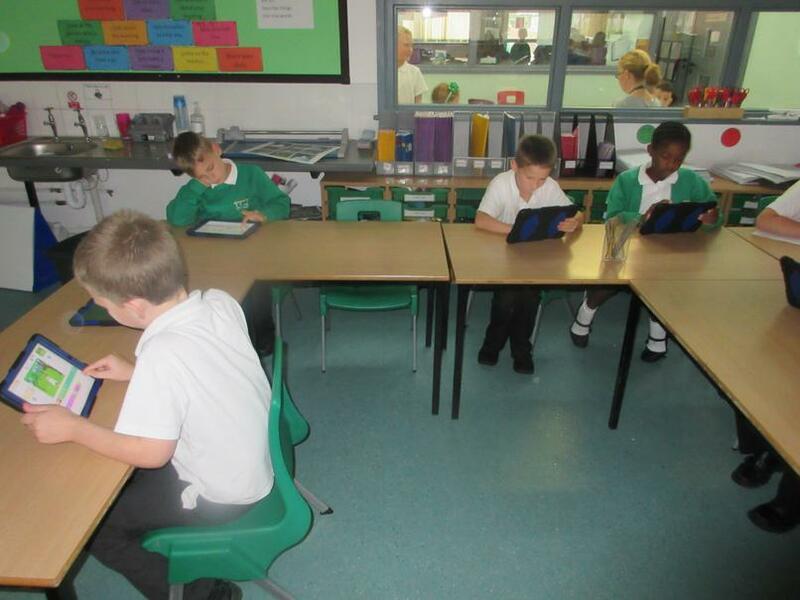 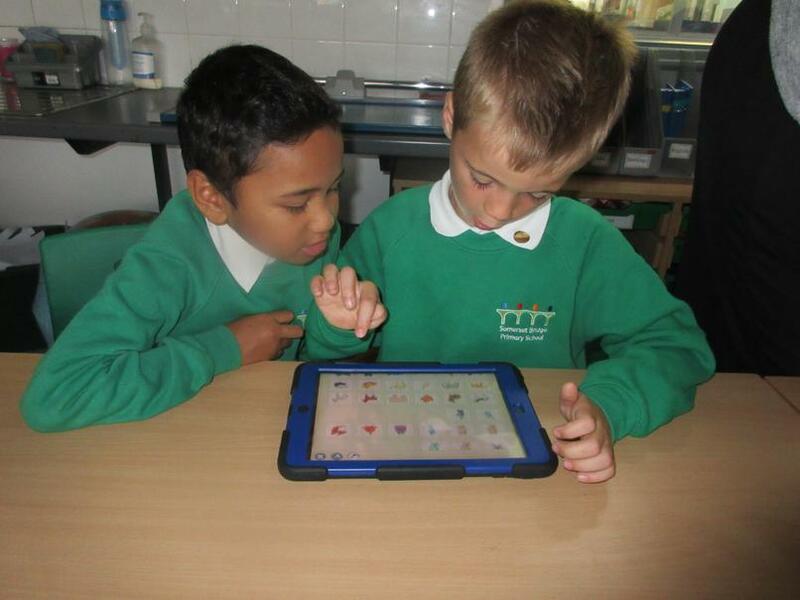 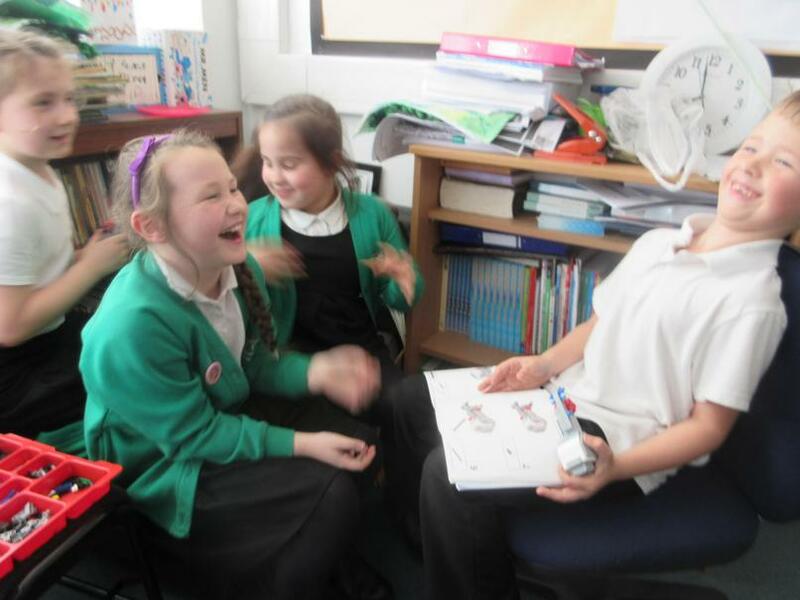 In Maths, the children use lots of resources so they can 'see' and 'do' the Maths. 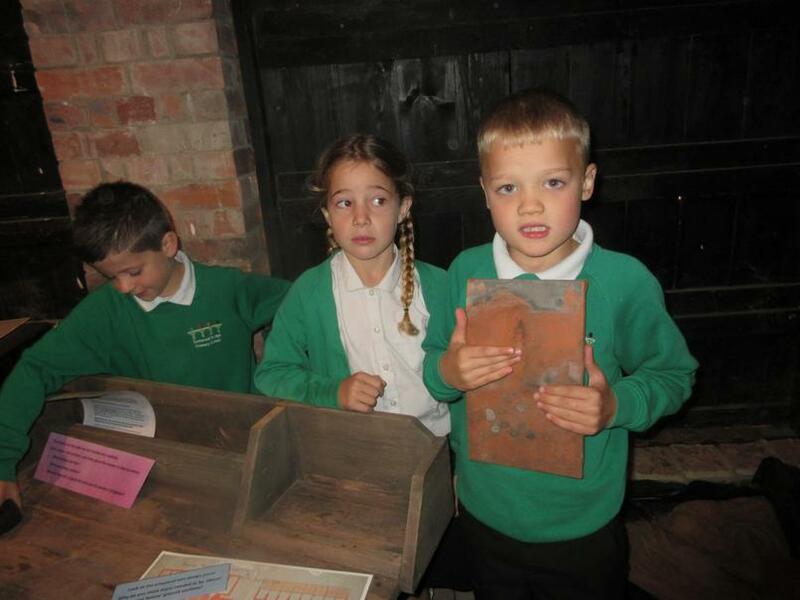 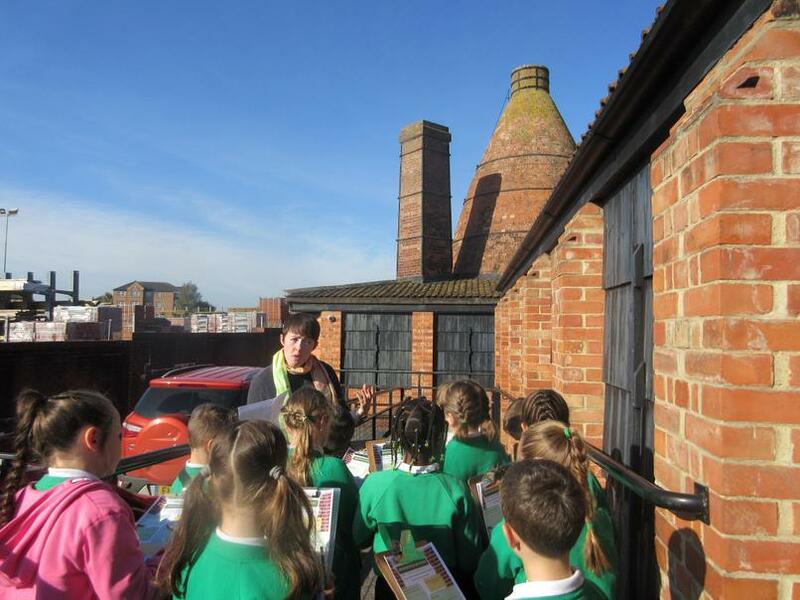 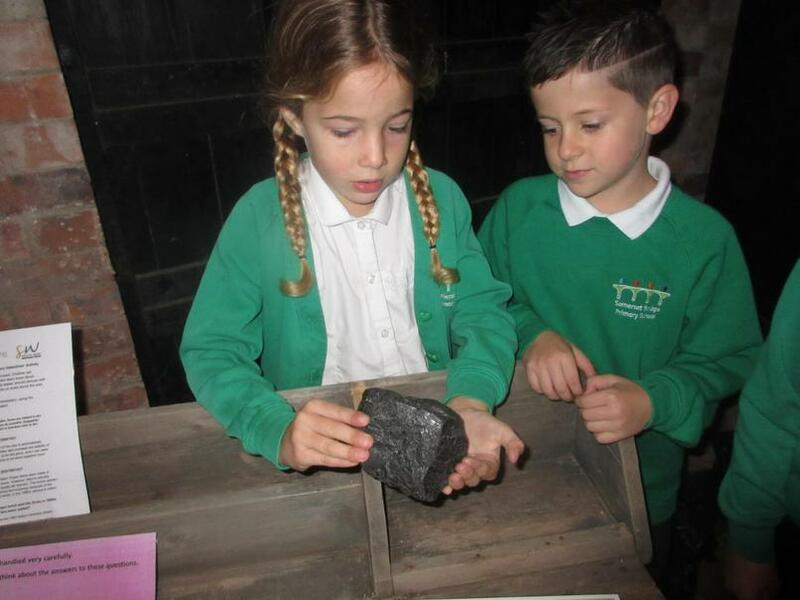 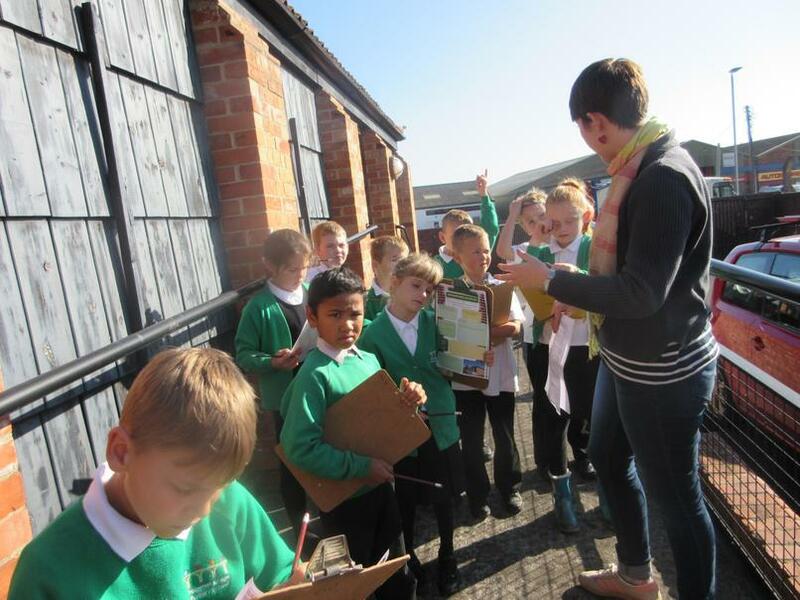 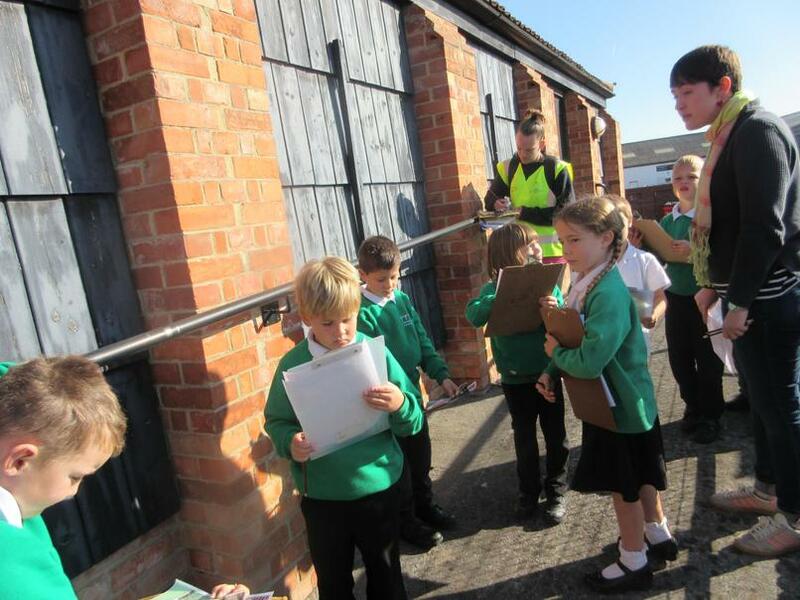 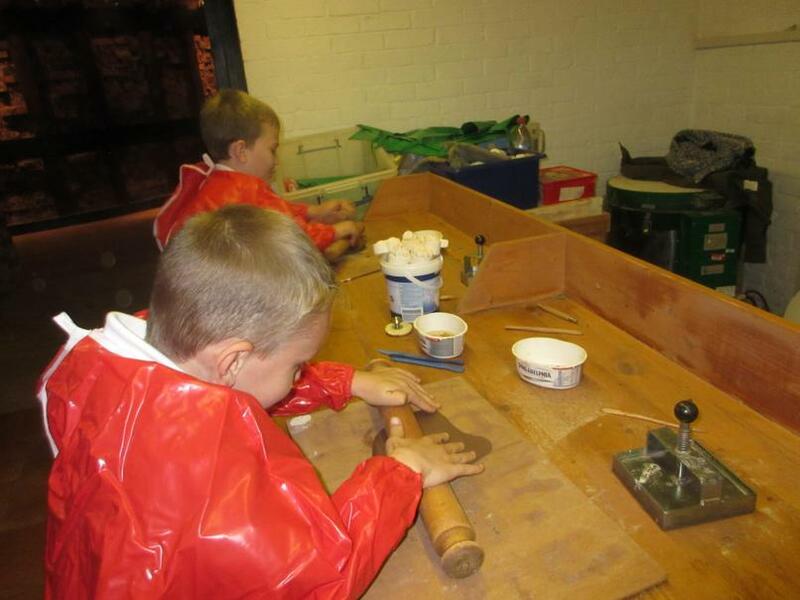 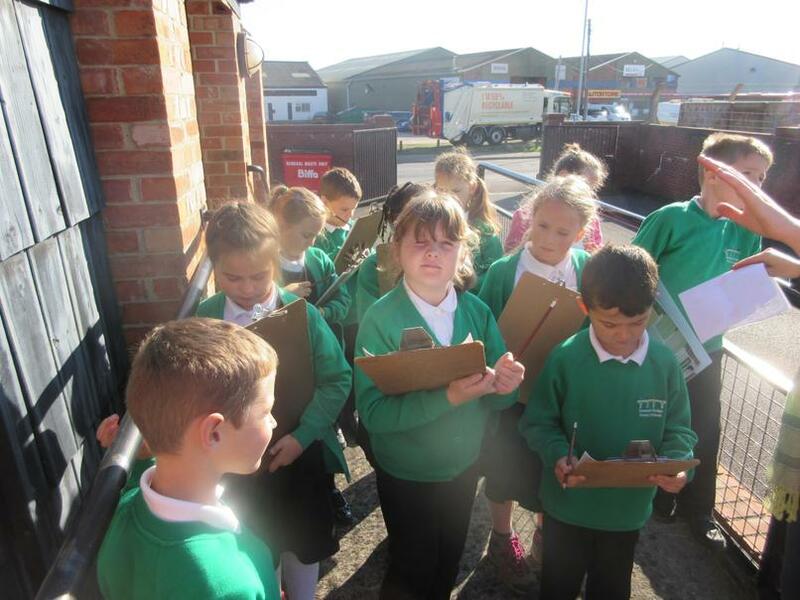 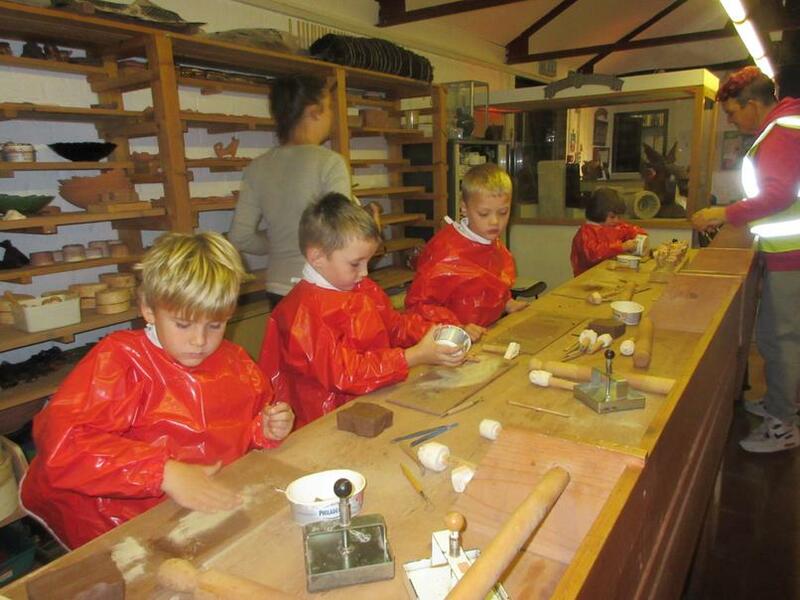 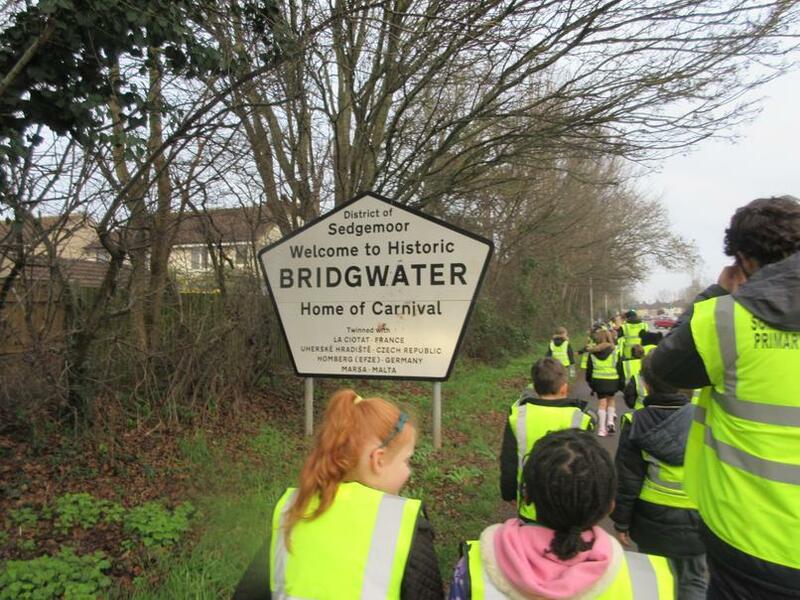 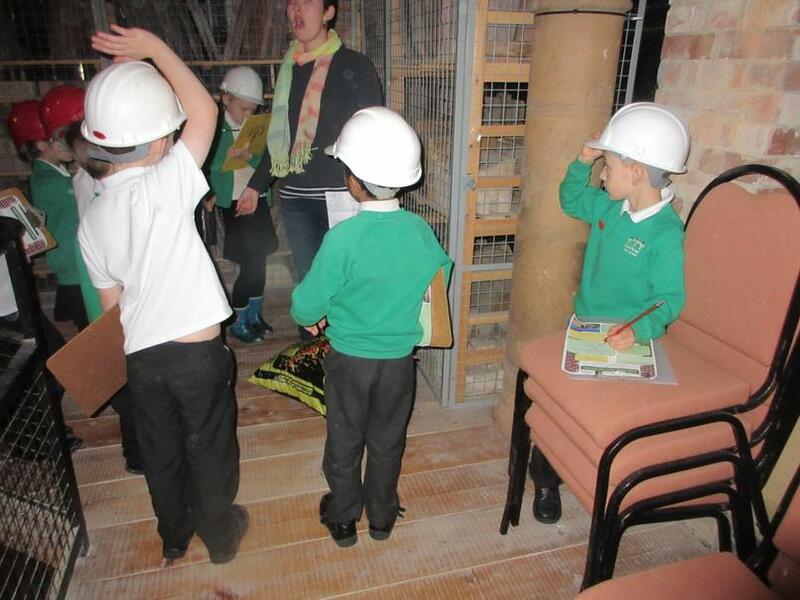 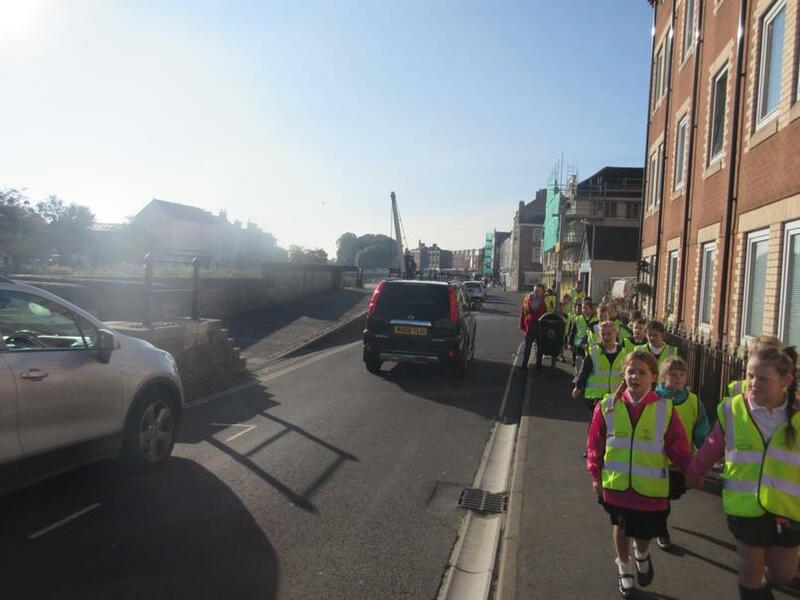 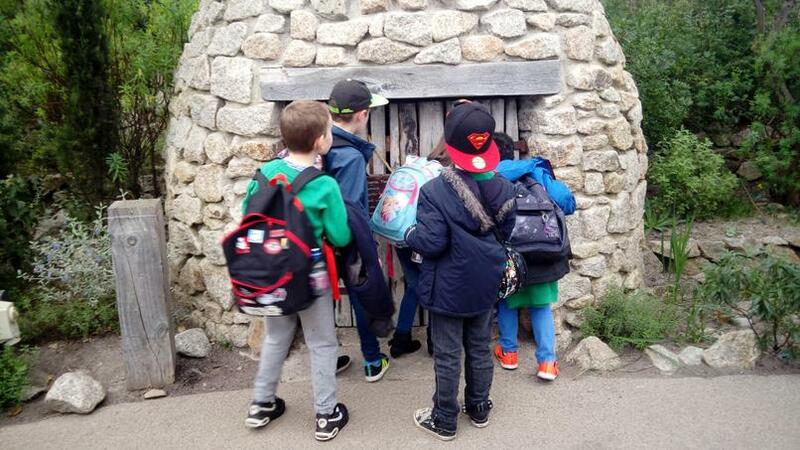 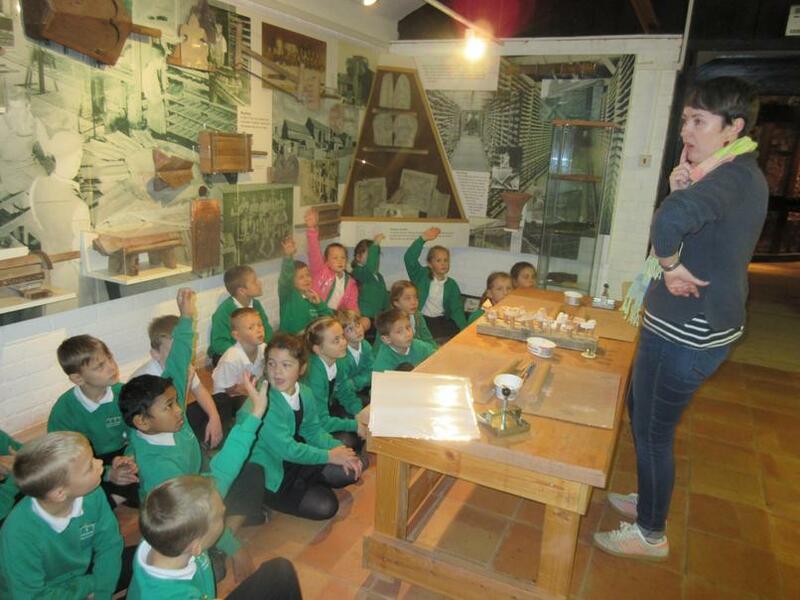 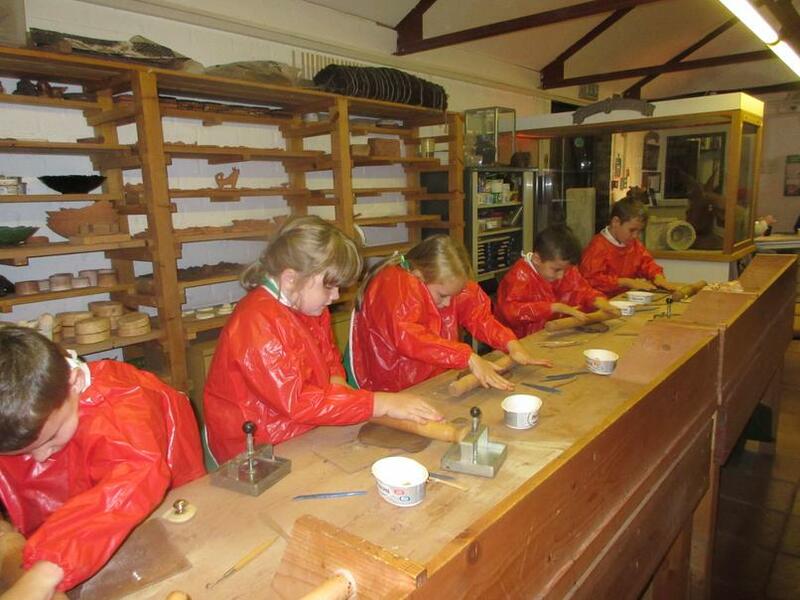 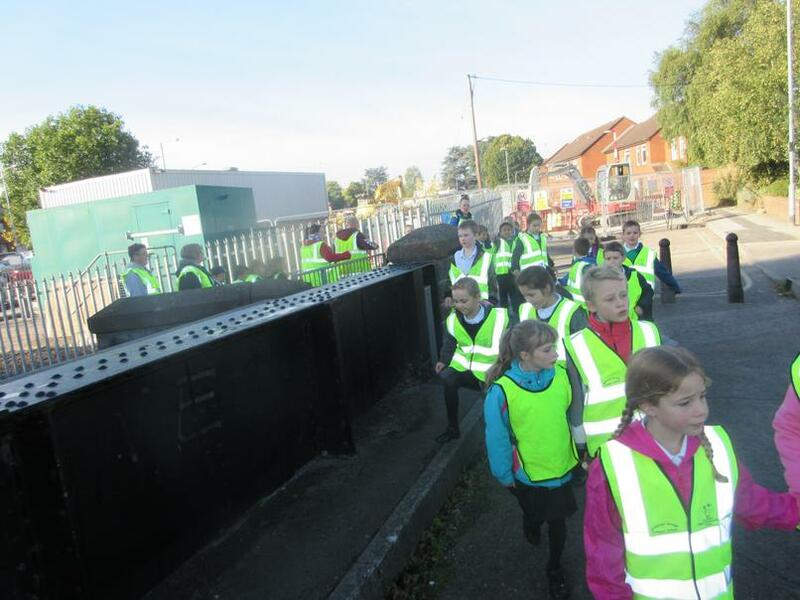 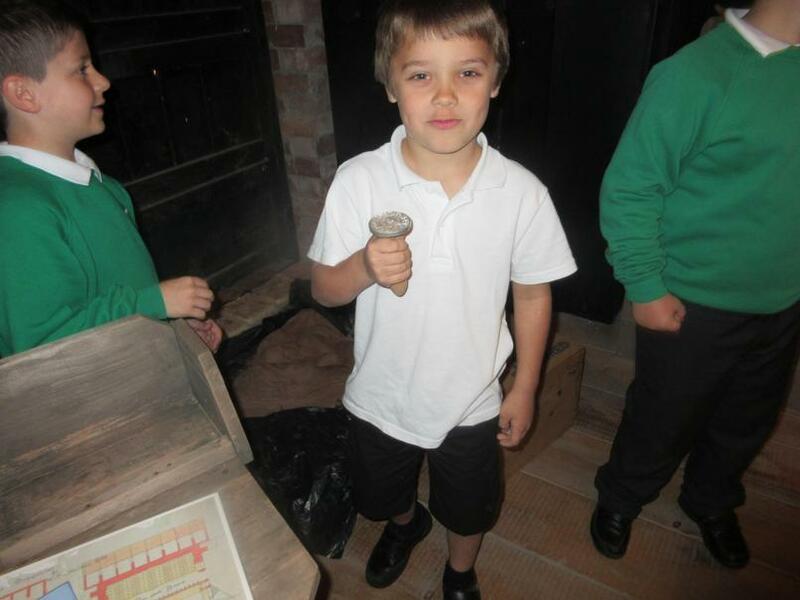 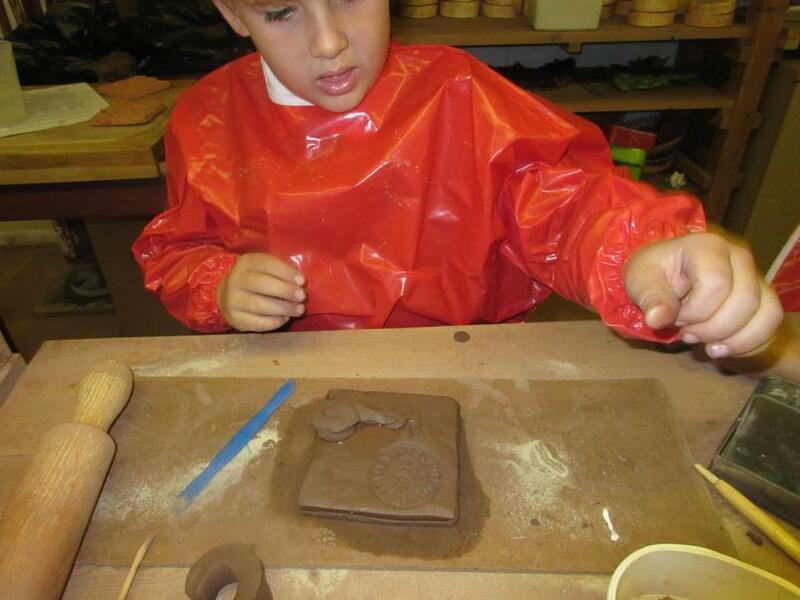 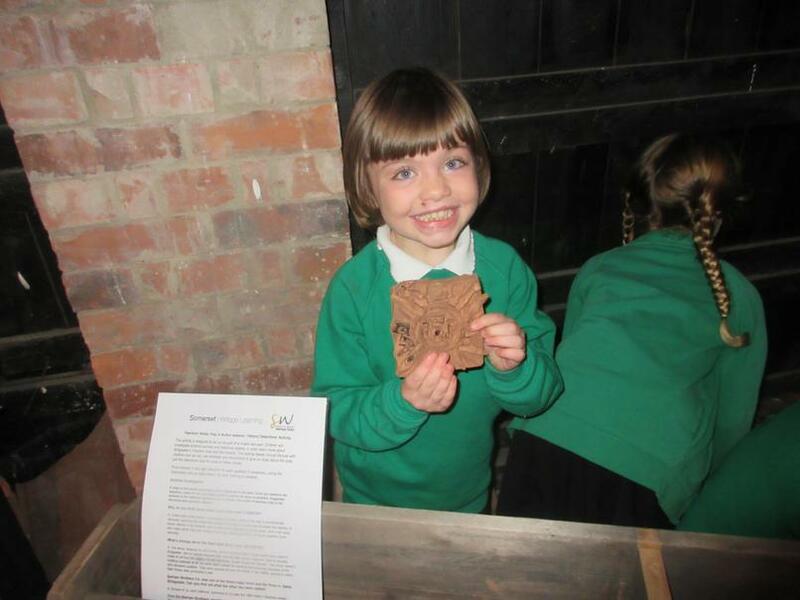 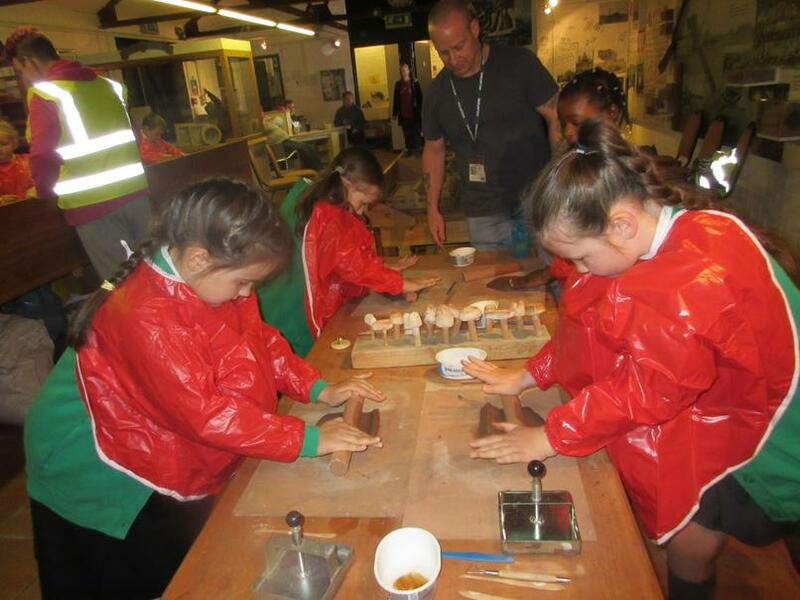 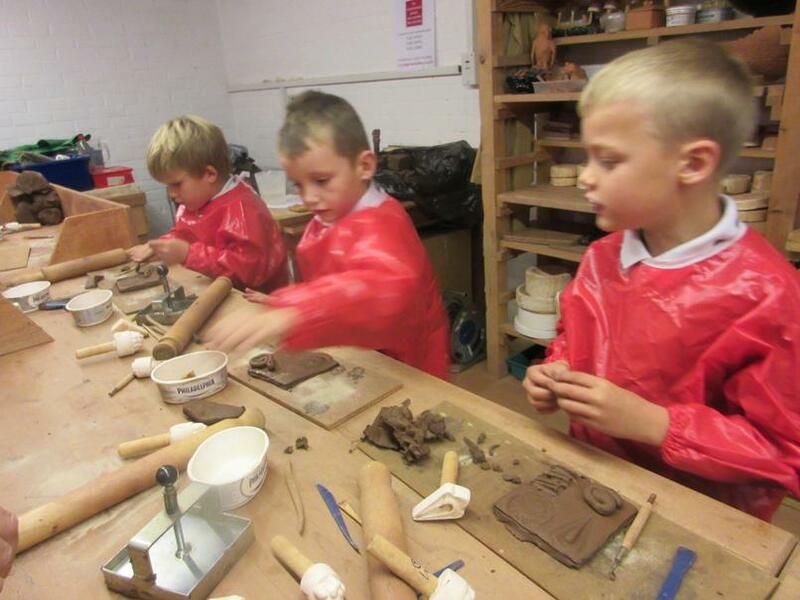 Y3 visit Bridgwater Brick and Tile Museum. 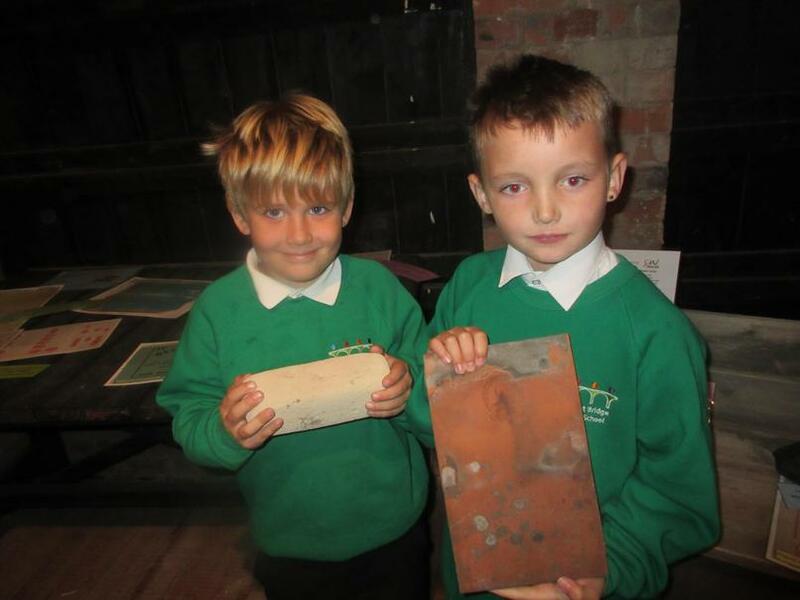 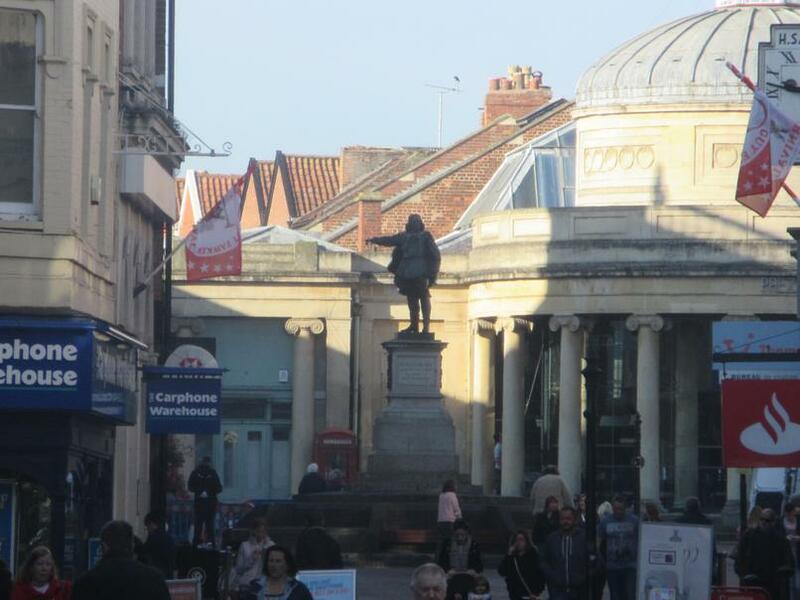 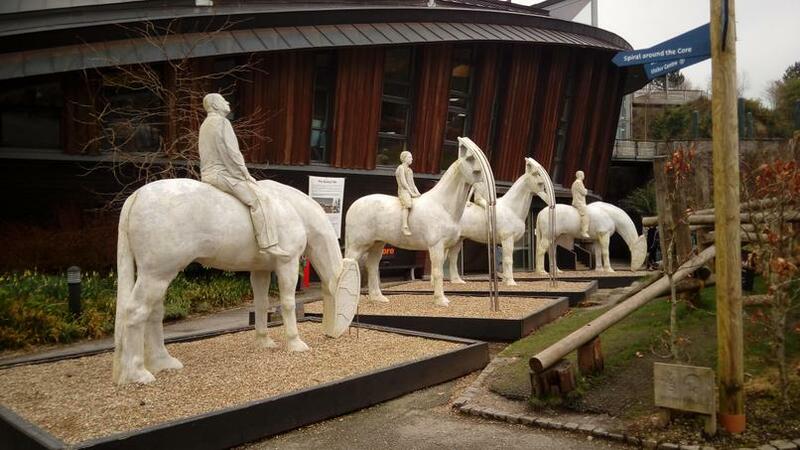 Our visit to Bridgwater Brick and Tile Museum was very interesting and a great success. 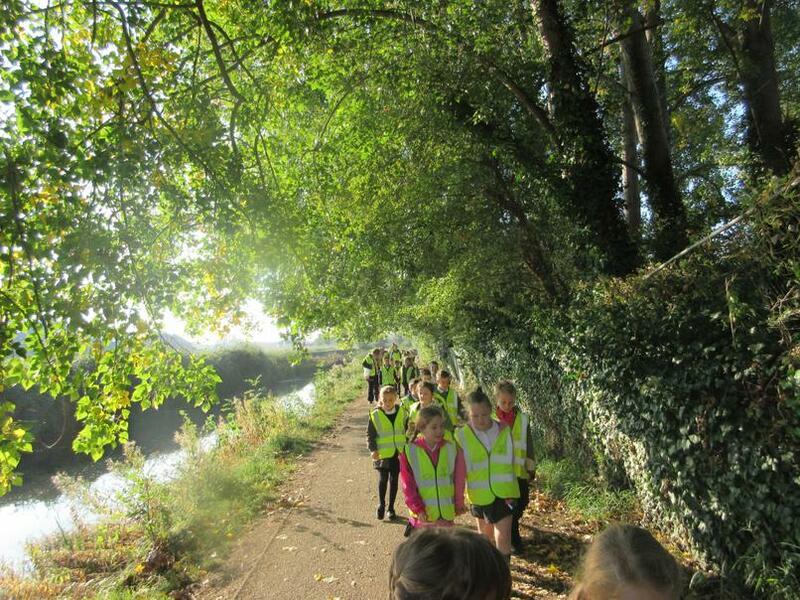 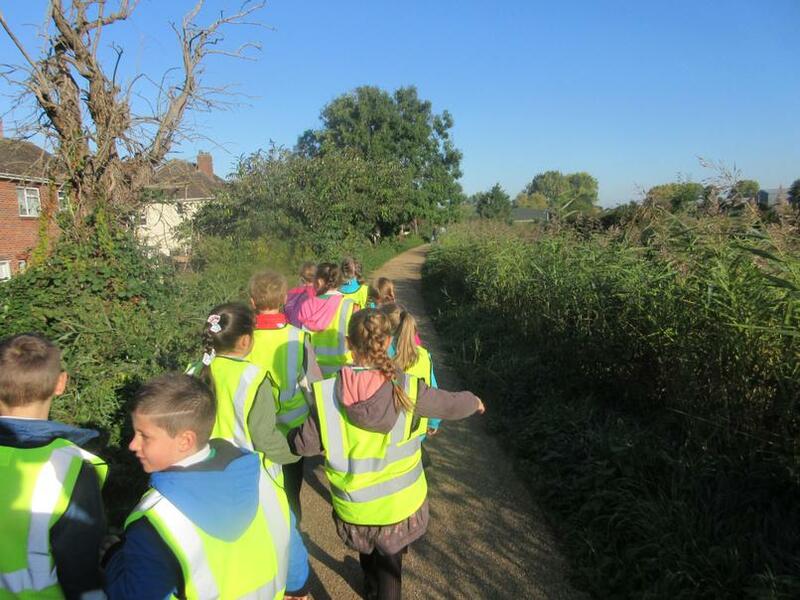 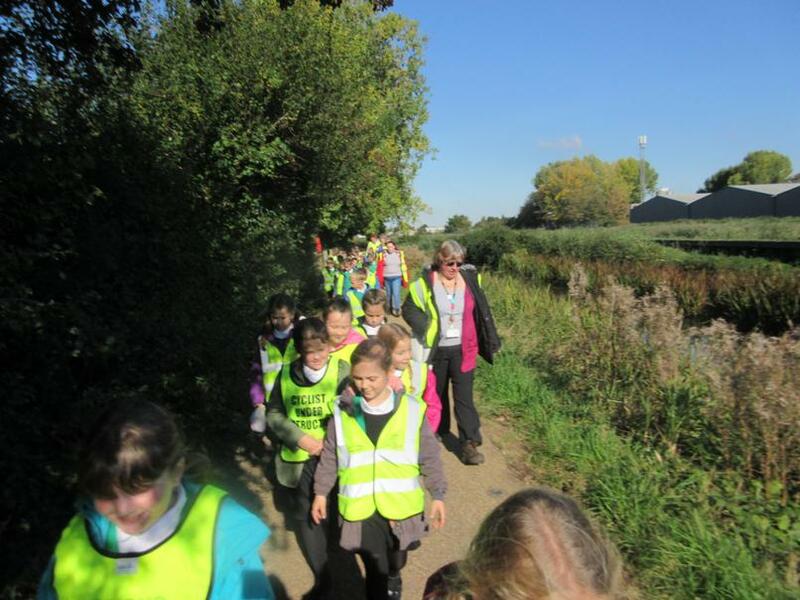 The children walked all the way into town along the canal side; it was a stunningly sunny day and they behaved beautifully. 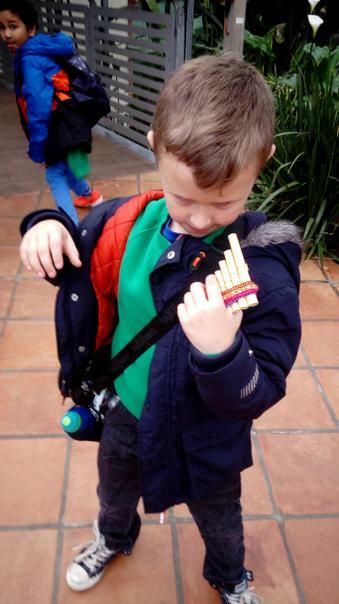 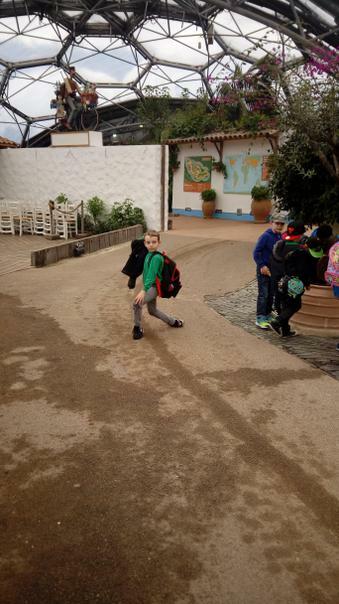 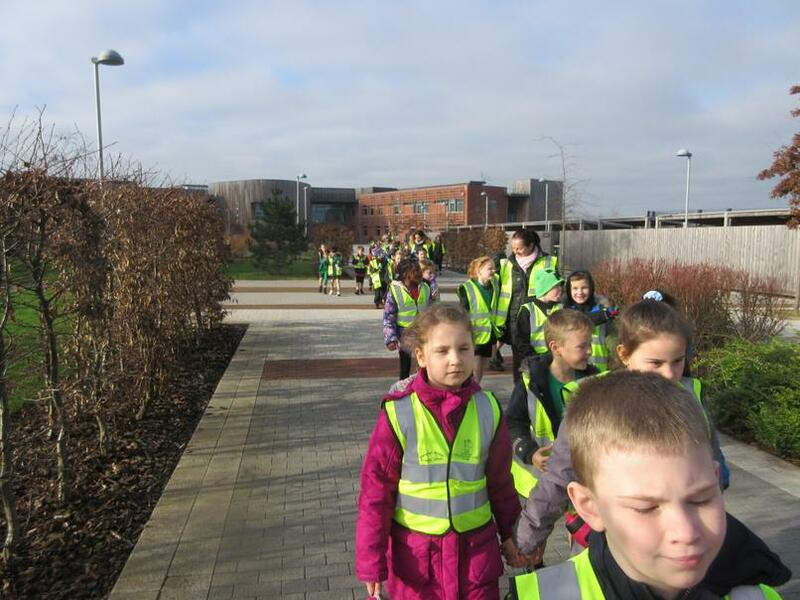 There was so much to do and see at the museum that the time flew by and before we knew it, it was time to walk back to school. 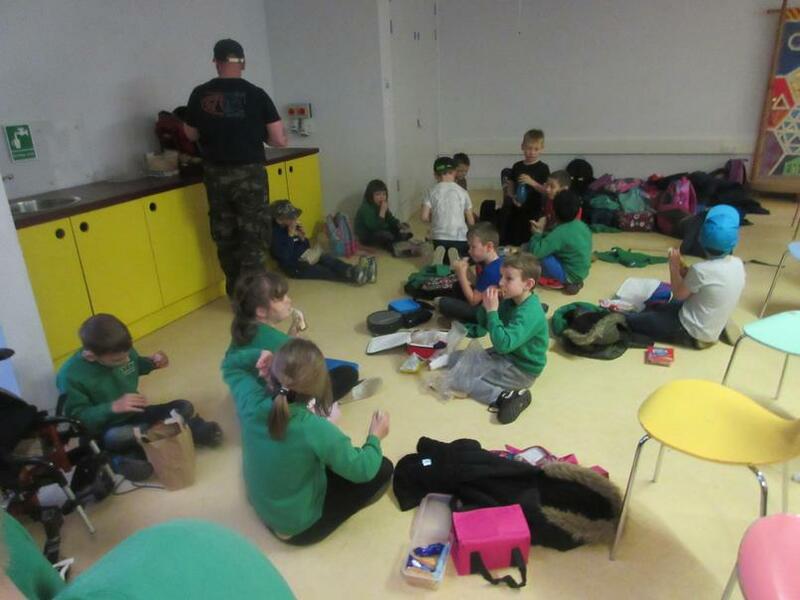 Everyone was certainly ready for their lunch when we got back! 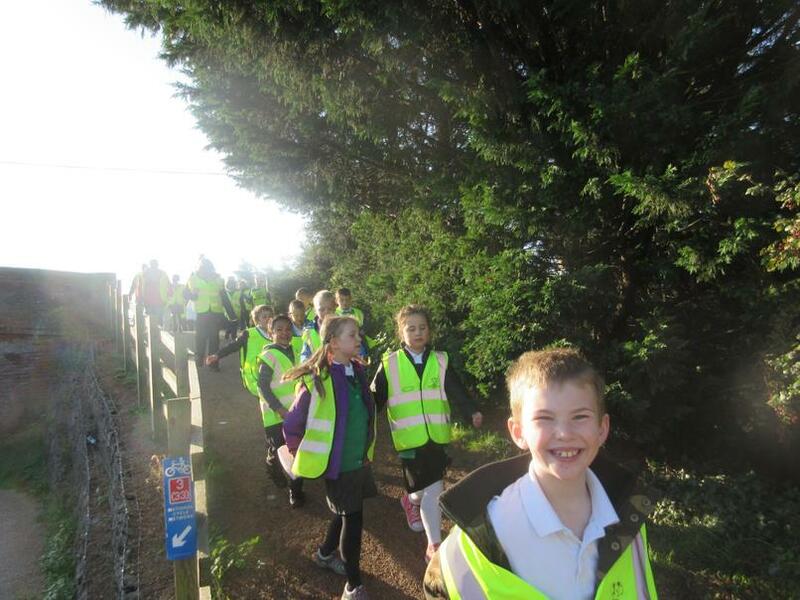 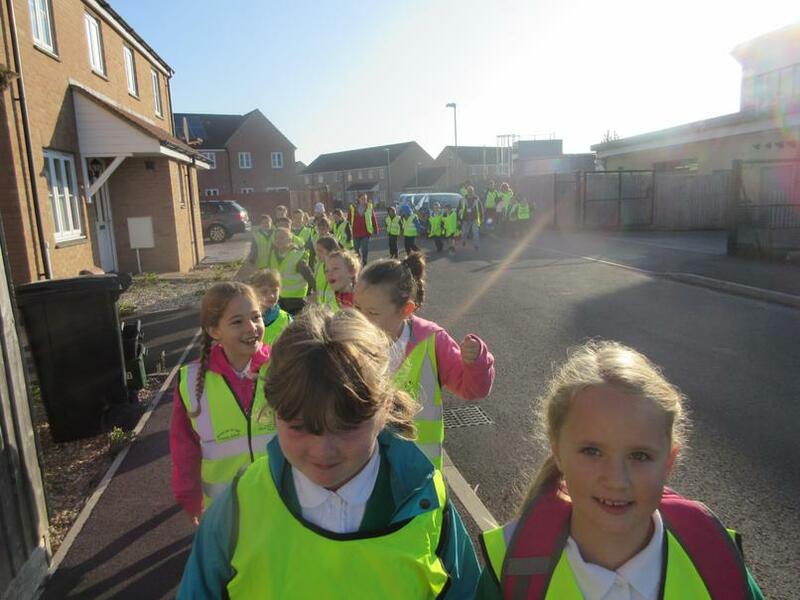 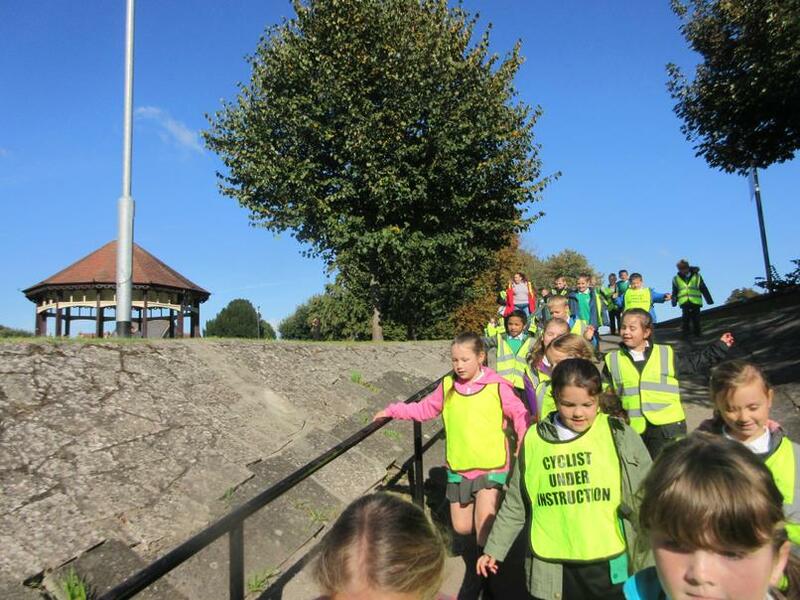 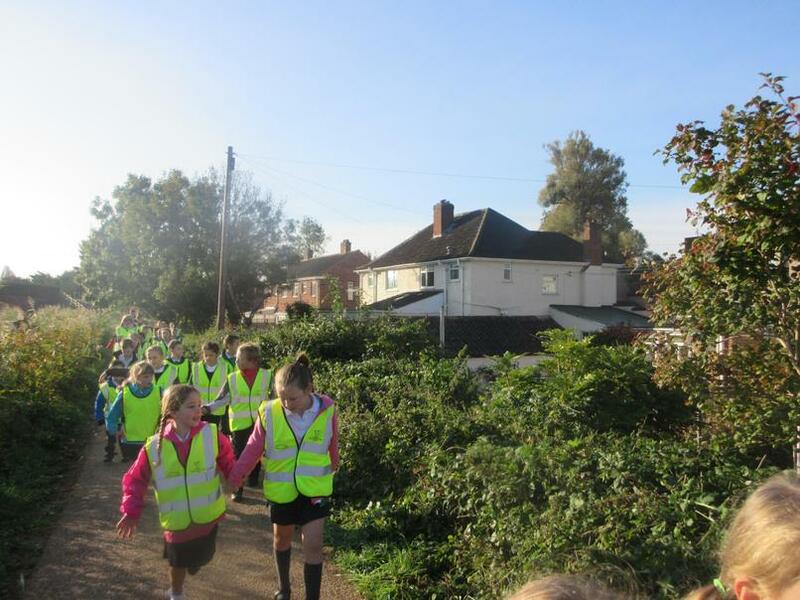 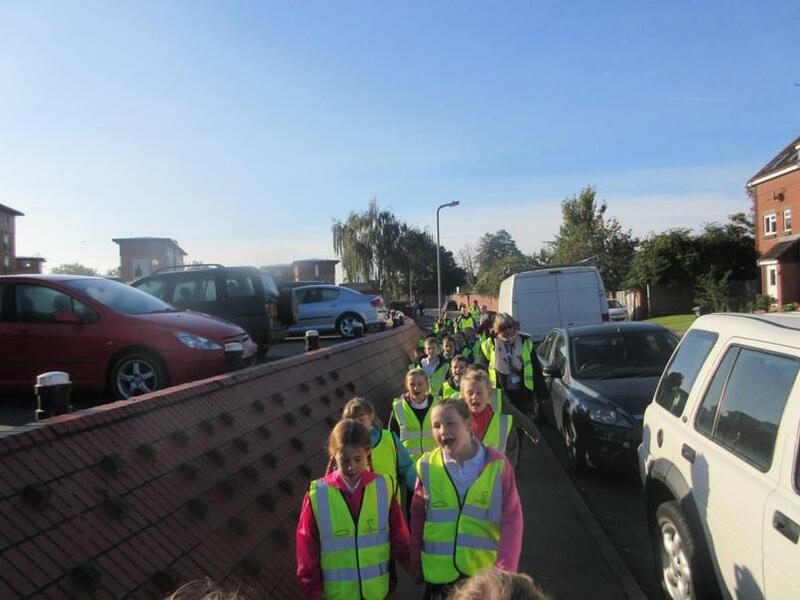 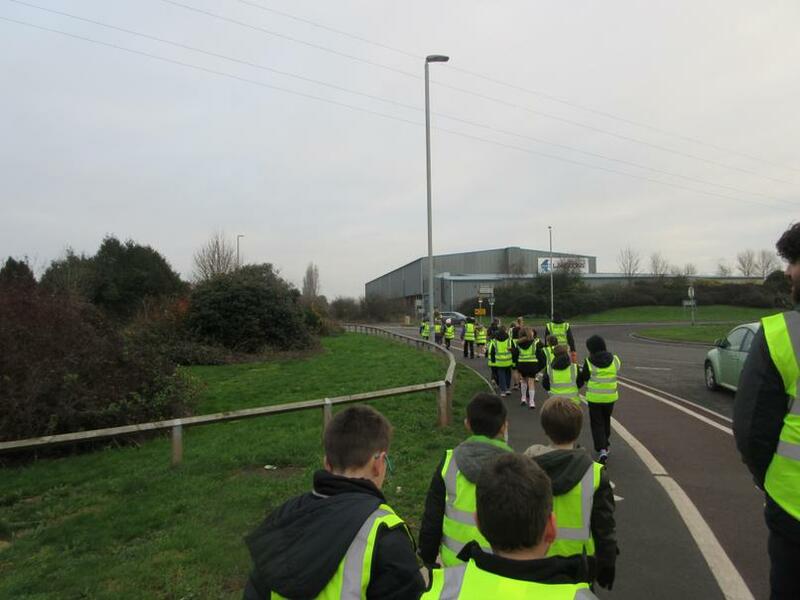 A big thank you from all the children and staff to the parent helpers who walked with us. 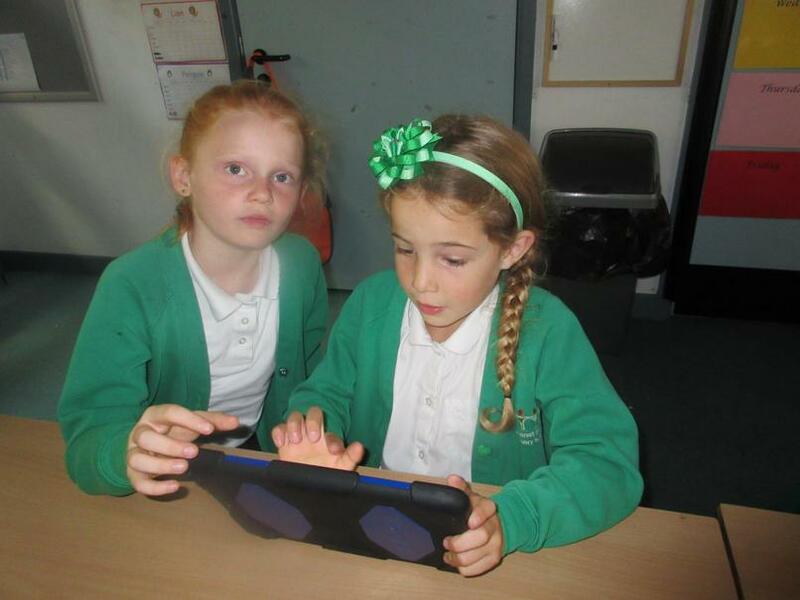 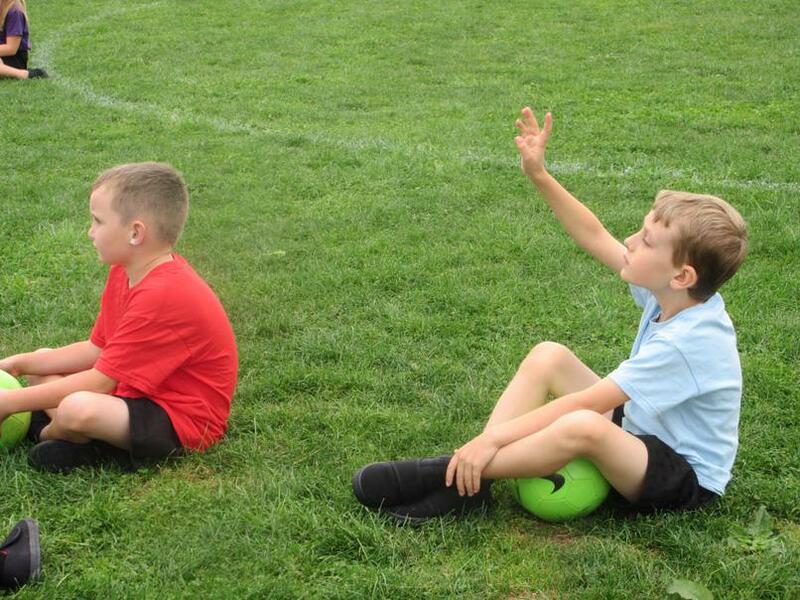 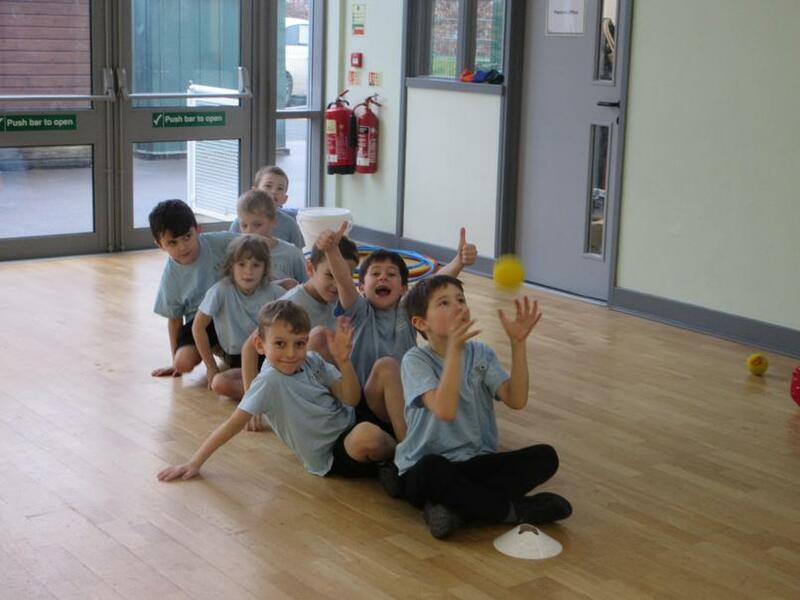 The children in Y3 AM have PE on Tuesday afternoon and have already enjoyed learning new skills.